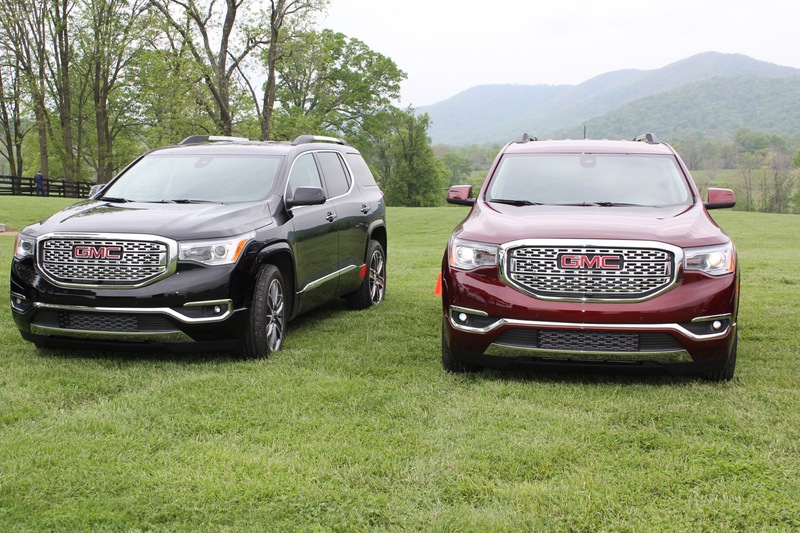 Bucking the trend of most new vehicle introductions, yes, the 2017 GMC Acadia is smaller; much smaller. 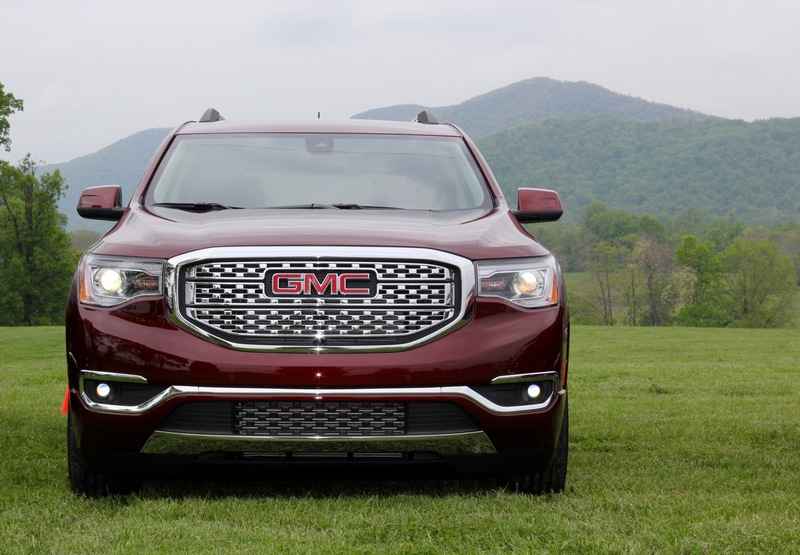 GMC has taken a long look at the once full-size crossover, and repositioned it at the heart of the midsize segment. 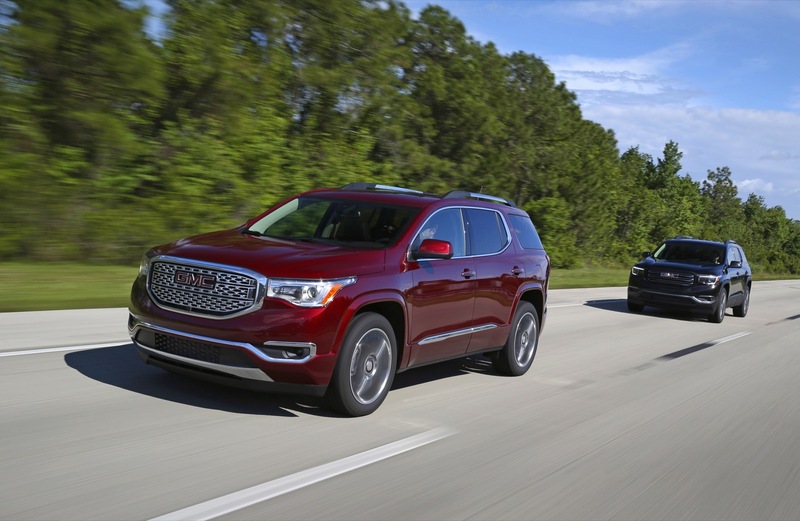 For instance, the 2017 Acadia’s wheelbase is now 6.4-inches shorter (112.5-inches overall), the crossover has shrunk in overall length by 7.2-inches (193.6-inches) and width is down 3.5-inches (75.4-inches). 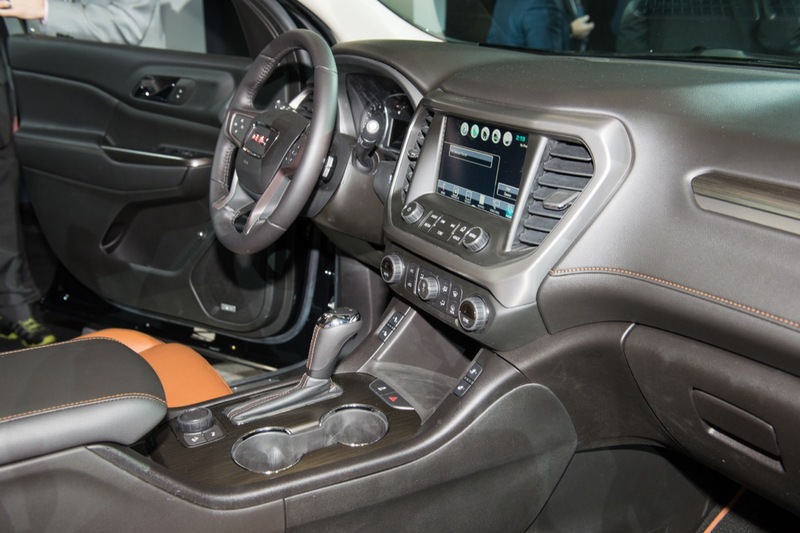 What has this done to the 2017 Acadia? It has created a new profile for the crossover, a new identity if you will. 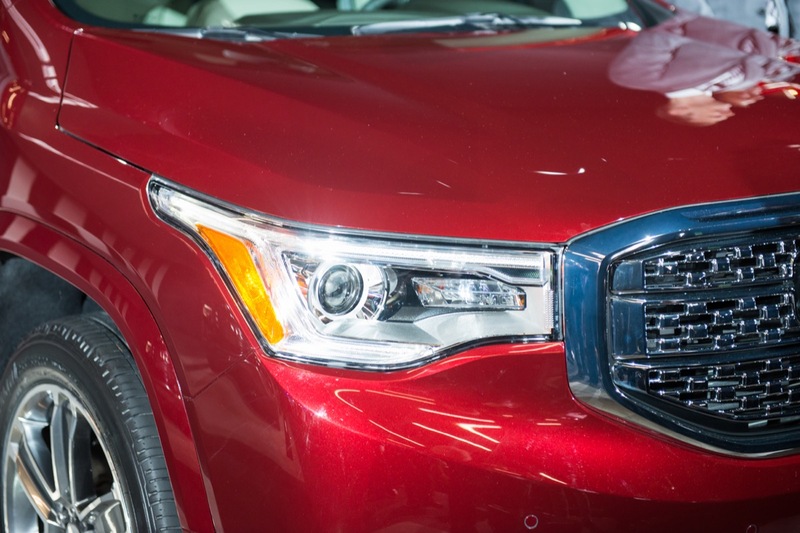 This is no longer a truck-looking crossover, this now looks like an SUV. 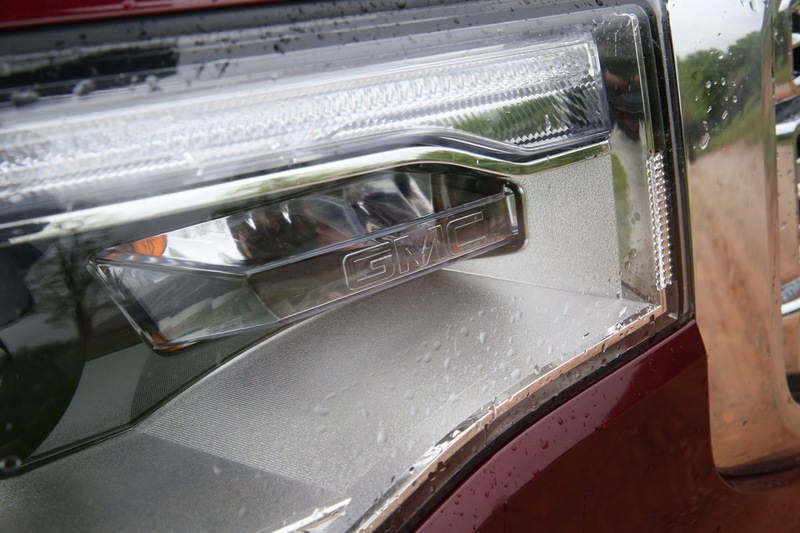 A dimensional grille and wraparound headlamps provide the typical upscale design cues one comes to know and love from GMC design, and that’s also present in the rear with new, C-shaped taillamps. Don’t fret, Denali devout. 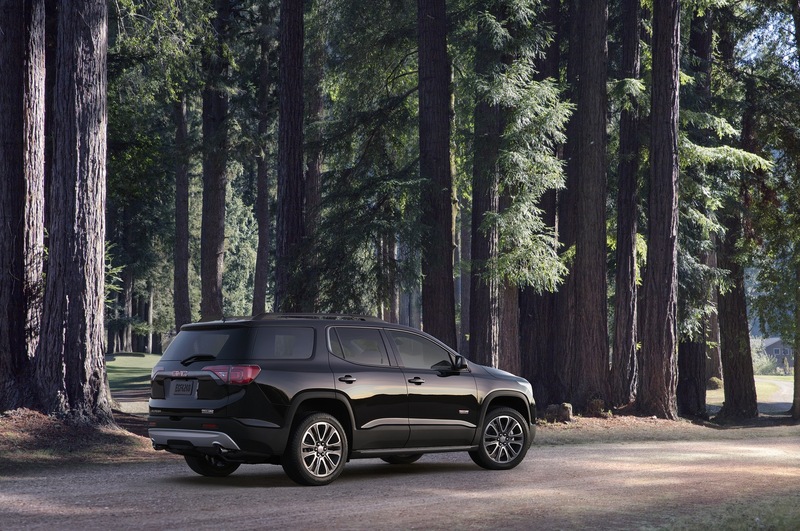 The 2017 GMC Acadia will also appear with a new Denali trim, too. 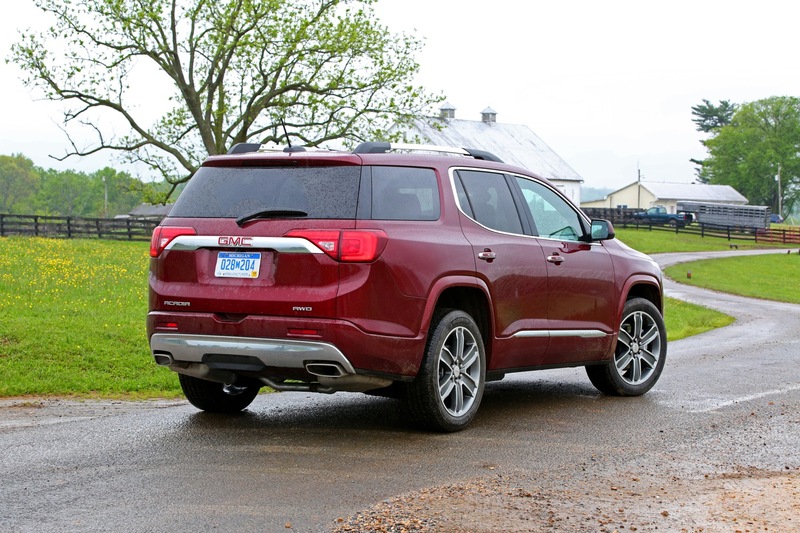 In typical Denali fashion, the 2017 GMC Acadia Denali offers a chrome grille, integrated chrome side trim, chrome-accented door handles, a chrome lower-rear fascia and specific six-spoke wheels. Ah, but here’s something new. 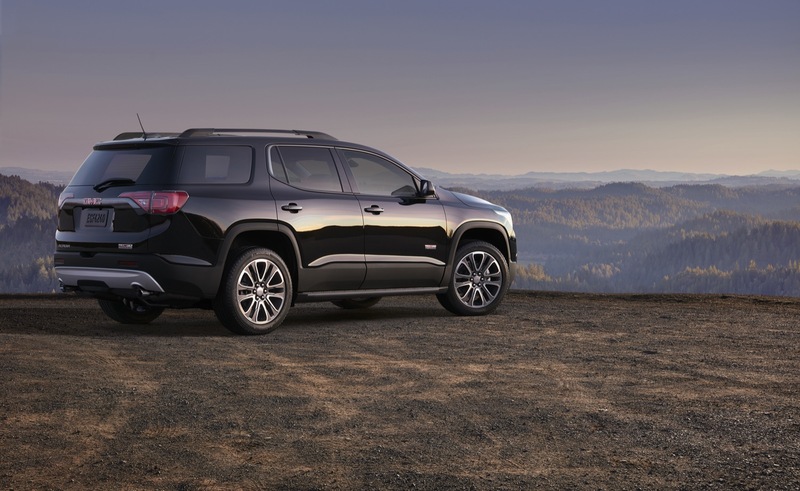 The 2017 GMC Acadia also arrives with a new All Terrain variant. 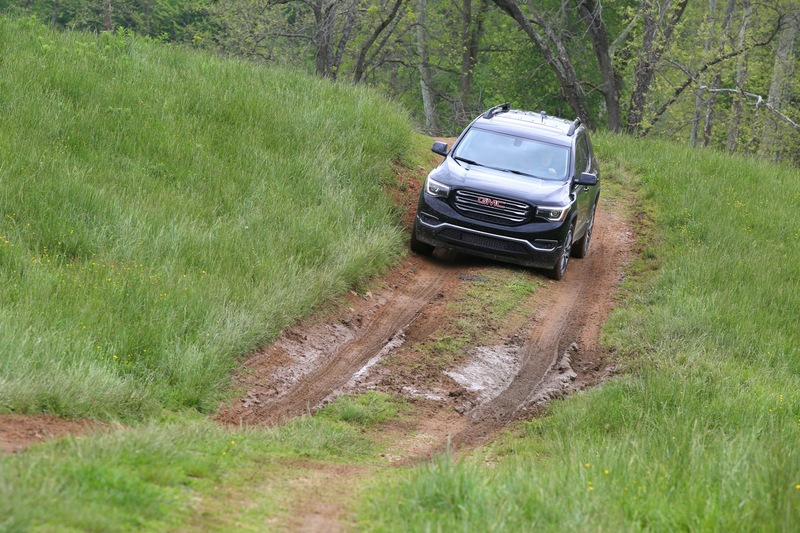 The 2017 Acadia All Terrain arrives with enhanced off-road driving abilities and, at the heart of those abilities, is a twin-clutch all-wheel drive system. 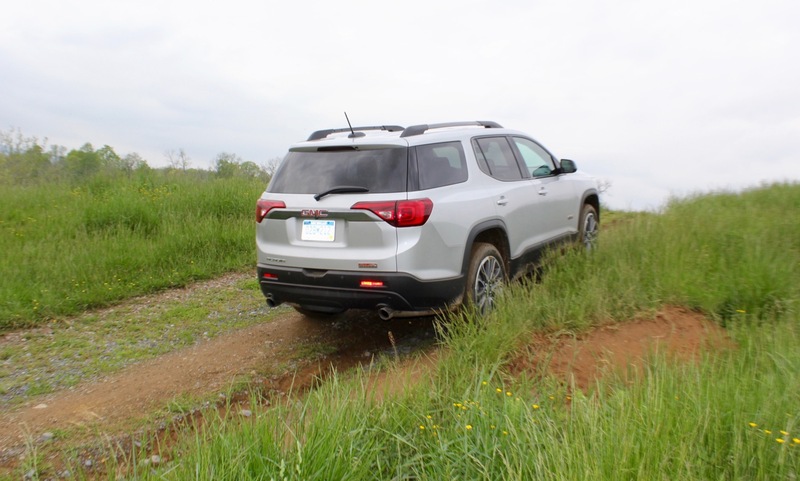 It also has a specific All Terrain mode in place of the Off Road mode on the drive mode selector, which works with the model’s exclusive AWD system to offer enhanced hill-climb capability. 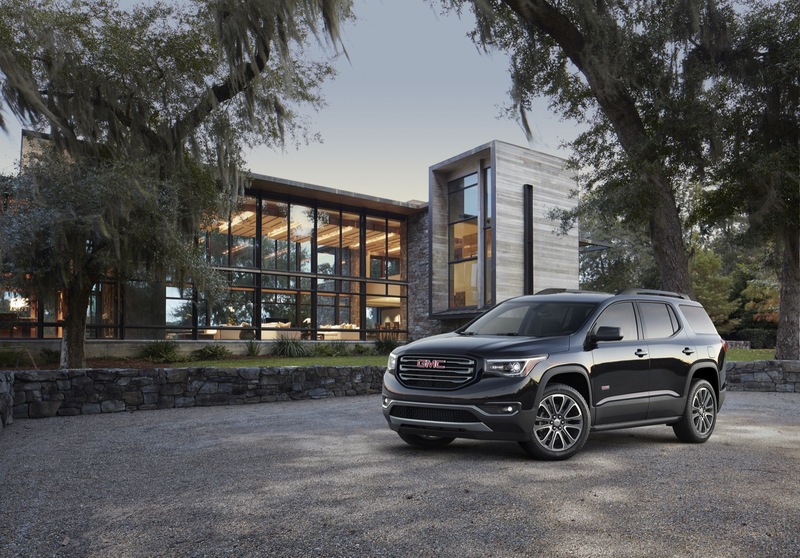 The 2017 Acadia All Terrain distinguishes itself from other road-going Acadia and Acadia Denali with a body-color grille surround, black chrome trim and unique wheels. 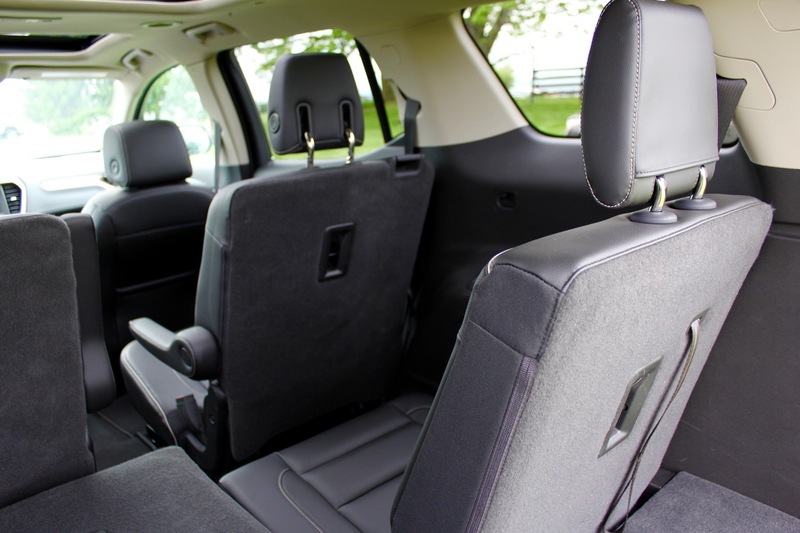 Inside is exclusive five-passenger seating, dynamic All Terrain interior accents and covered storage bins in the rear cargo floor in place of a third-row seat. 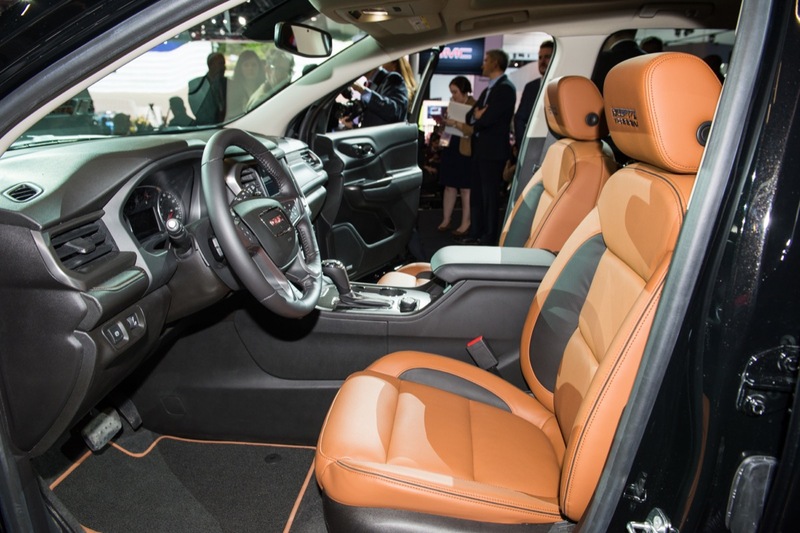 Each 2017 Terrain hosts unique interior color and trim combinations and incorporate authentic aluminum trim. Now that we’ve introduced the whole gang, what’s under the hood? We’re glad you asked. 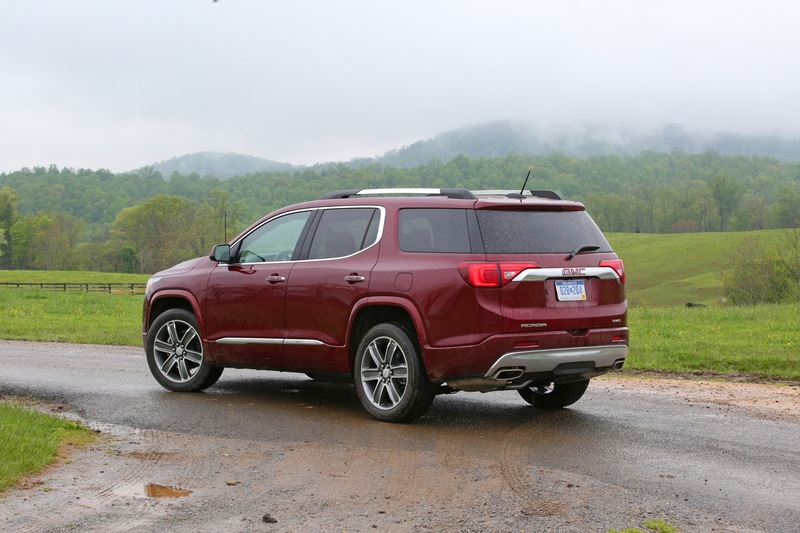 The 2017 GMC Acadia begins with a base 2.5-liter naturally aspirated four-cylinder engine, but we already know the 3.6-liter LGX V6 is going to be the better choice here. 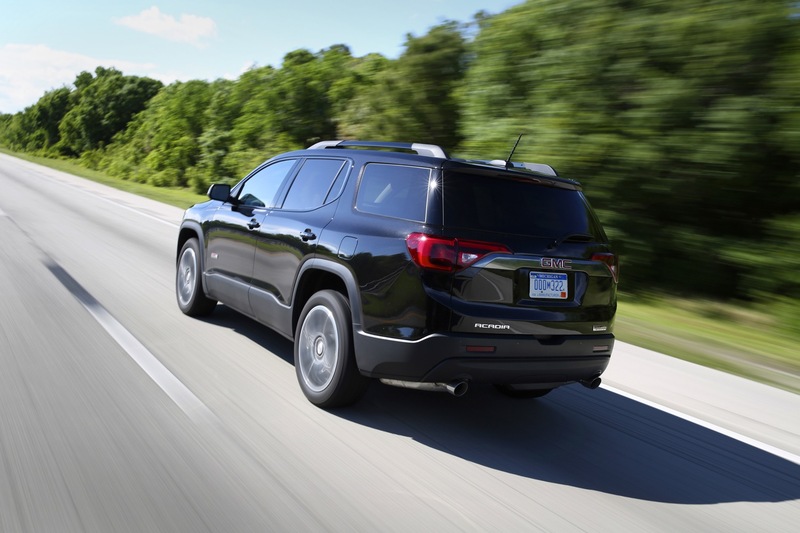 GMC estimates 22 mpg city, and 28 mpg highway for the four-cylinder engine and 25 mpg highway for the V6. 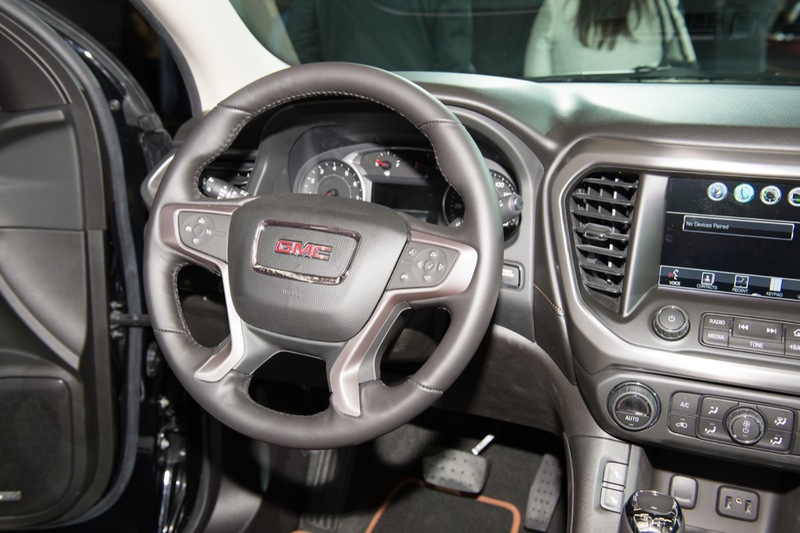 Both engines see a six-speed Electronic Precision Shift treatment. 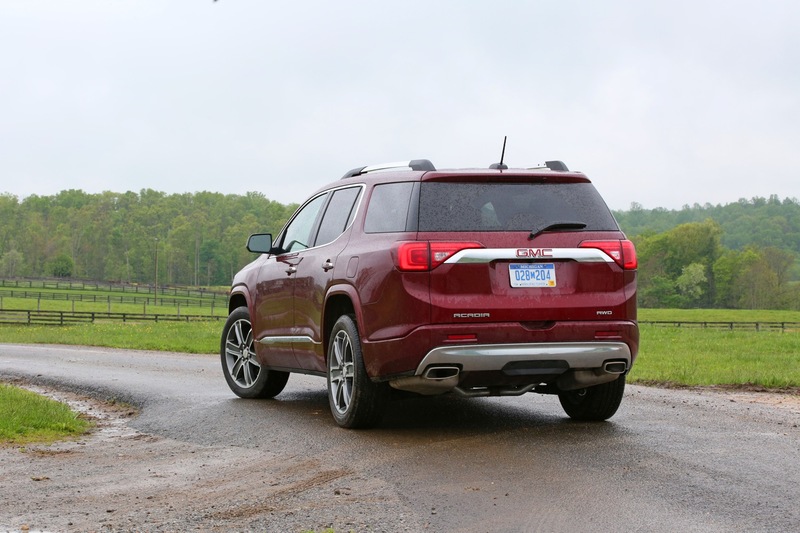 Part of the fuel economy puzzle solving comes from the curb weight, which is now 700-pounds less than the outgoing Acadia. 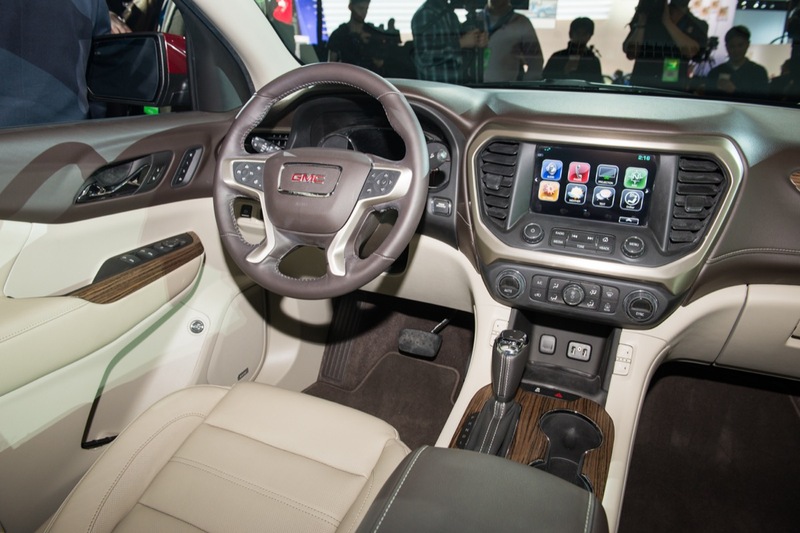 But, the 2017 Acadia is no wuss. 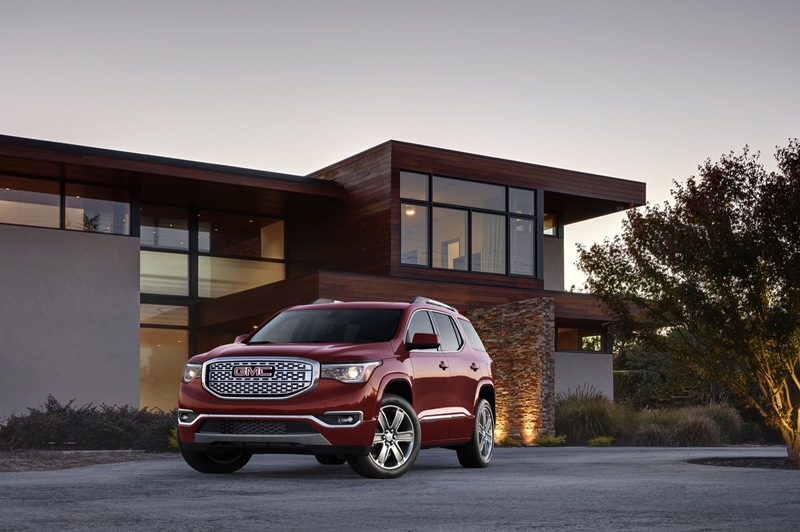 The new Acadia musters to haul up 4,000-pounds with an available towing package. 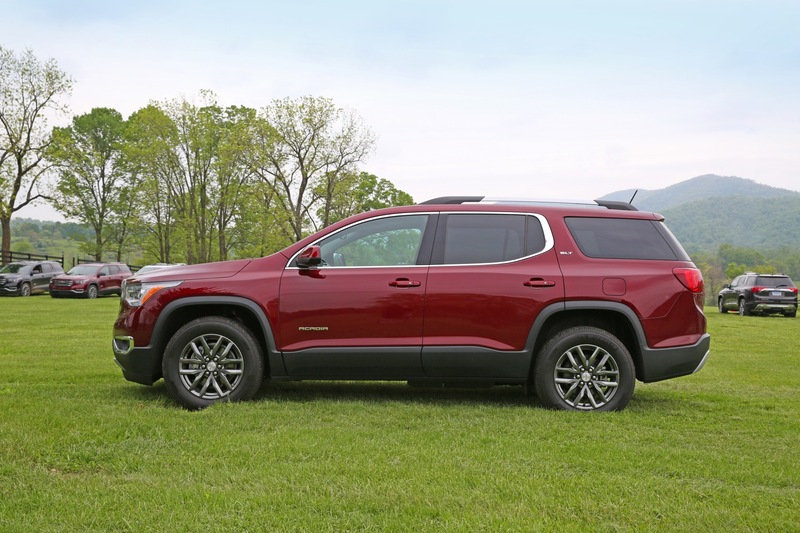 • Front and Rear Parking Assist. 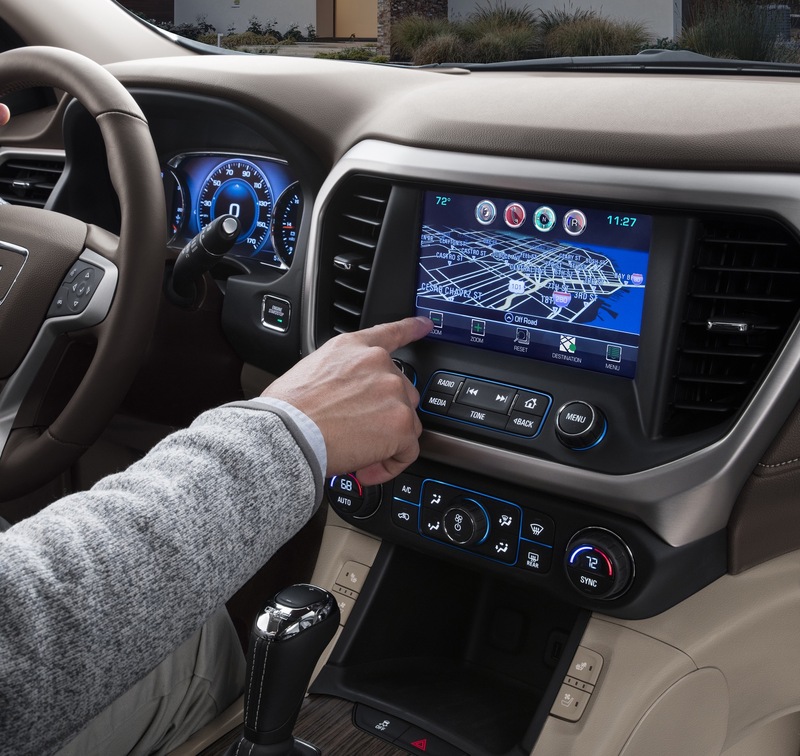 As for connectivity, the 2017 Acadia has that, too. 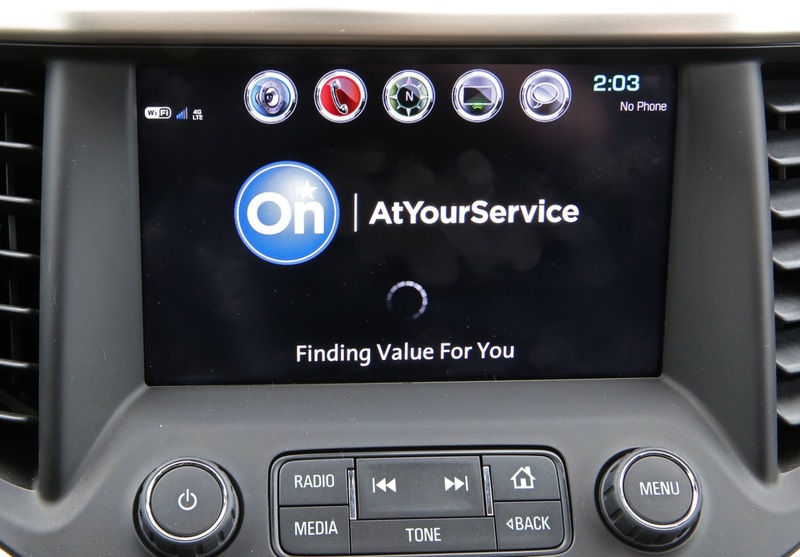 OnStar 4G LTE WiFi is a definite, and Apple CarPlay and Android Auto, too. 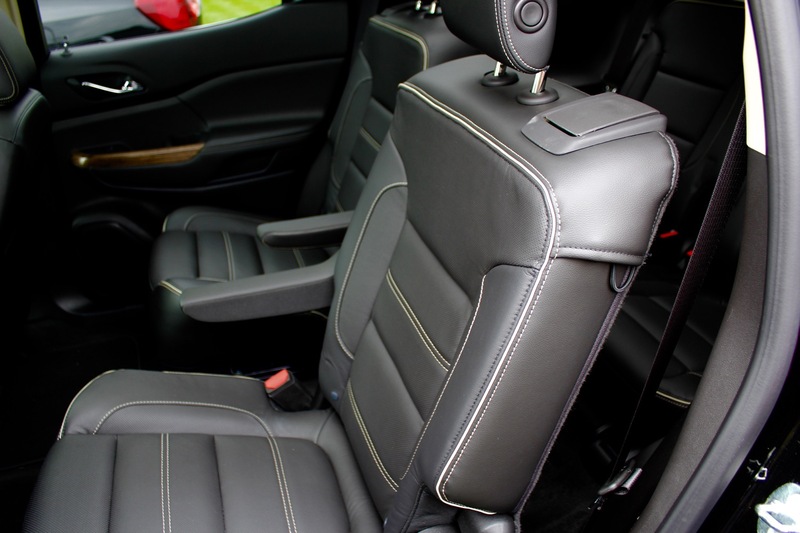 There’s also a new, standard rear seat alert that can remind the driver when an item may have been left in the second- and third-row seats. 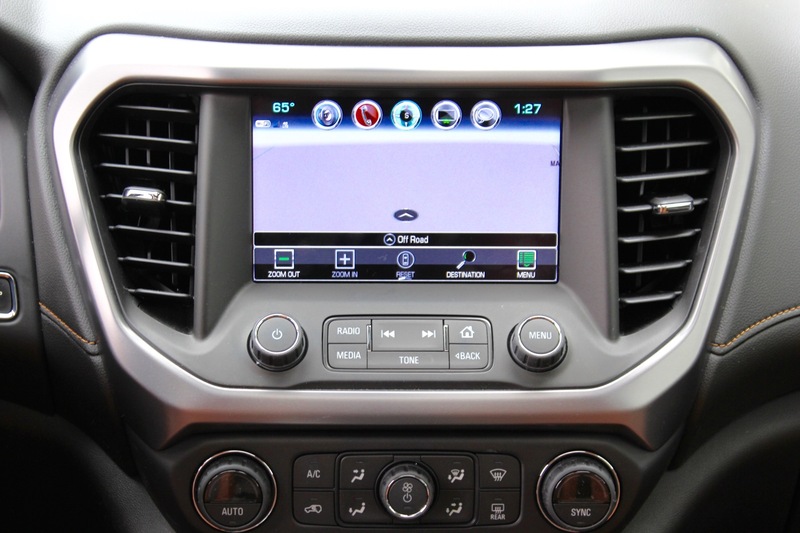 You know, for when little Jimmy forgets his iPad in the backseat (spoiled brat). Now, that you have the details, where’s it going to be assembled? 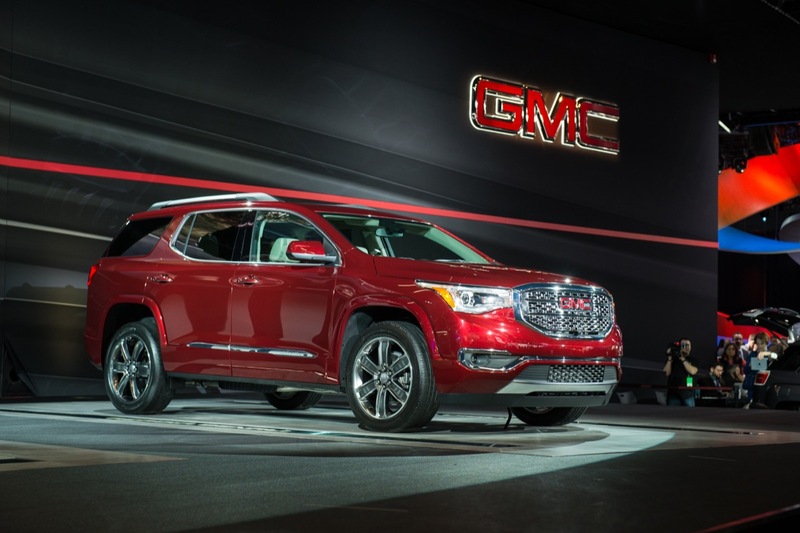 The 2017 GMC Acadia will shift from the Lansing Delta assembly to the Spring Hill, Tennessee assembly plant alongside the 2017 Cadillac XT5 and 2016 Chevrolet Equinox. And when can you get your hands on one? Spring 2016. Wait my point is, why 2.5 ? 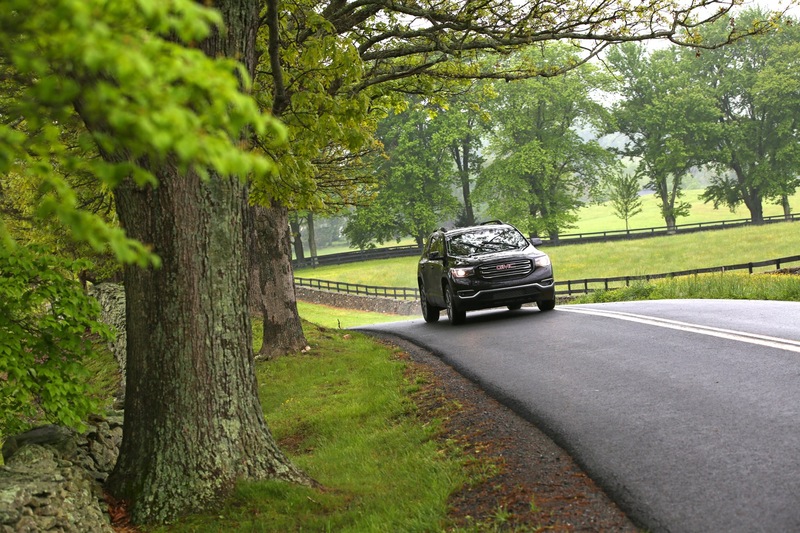 Seems like that is just appease the some people looking for slightly better fuel economy. 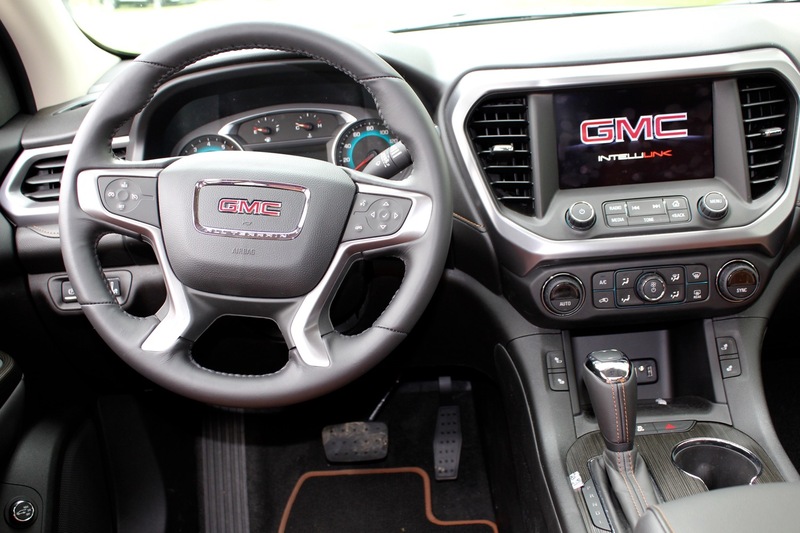 You would think that putting in a 8 speed auto and continue to use the 3.6 would have gotten the extra couple of highway MPG that the 2.5 is getting. Completely agree. 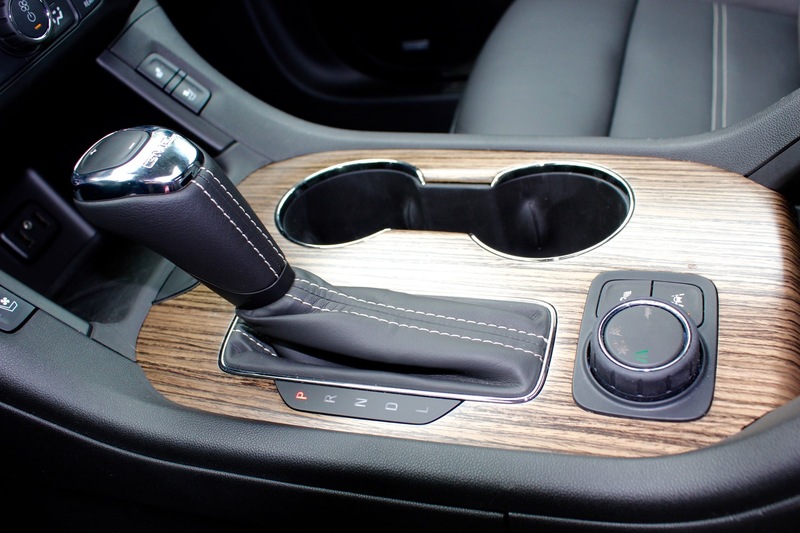 The 6 speed just seems dated and old tech. I can only hope that it has be thoroughly re-worked to be more efficient and modern than the 10 year old unit it is replacing. Also why didn’t they give this model a new name? 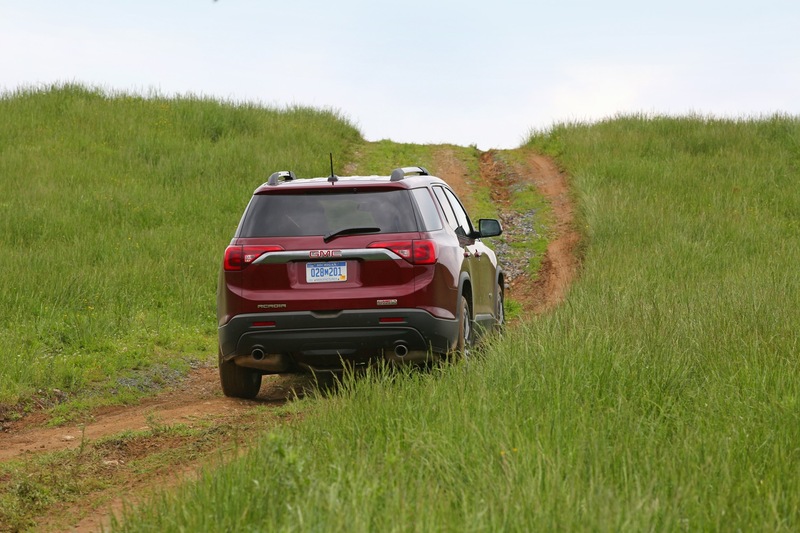 I understand the need to downsize and align this model with it’s closest competitors (Pilot, Highlander, Pathfinder, Grand Cherokee) plus close the gap to the Terrain but why not give it a new name? 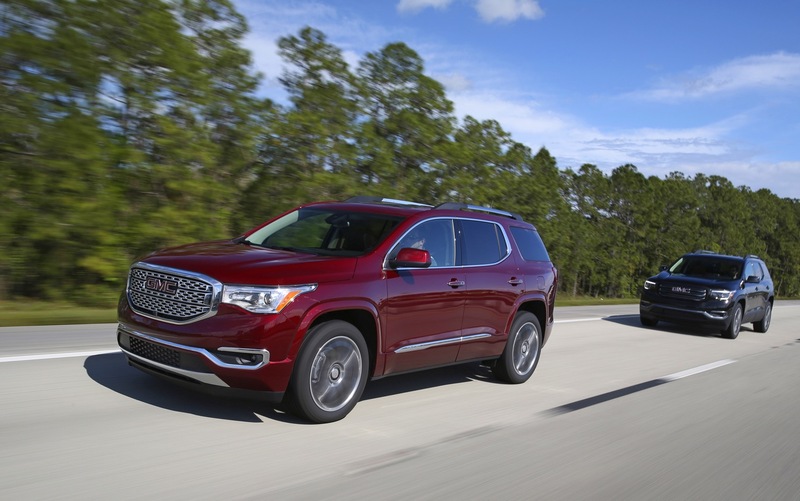 My reasoning is that the original Acadia had a loyal following and last year sold a record volume. 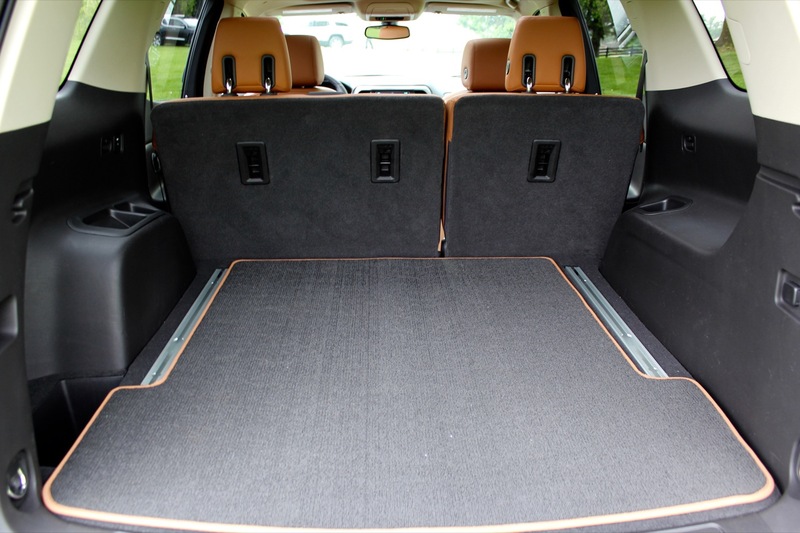 By making it shorter, narrower and with much less cargo space (3 row configuration) they may alienate their loyal clients. 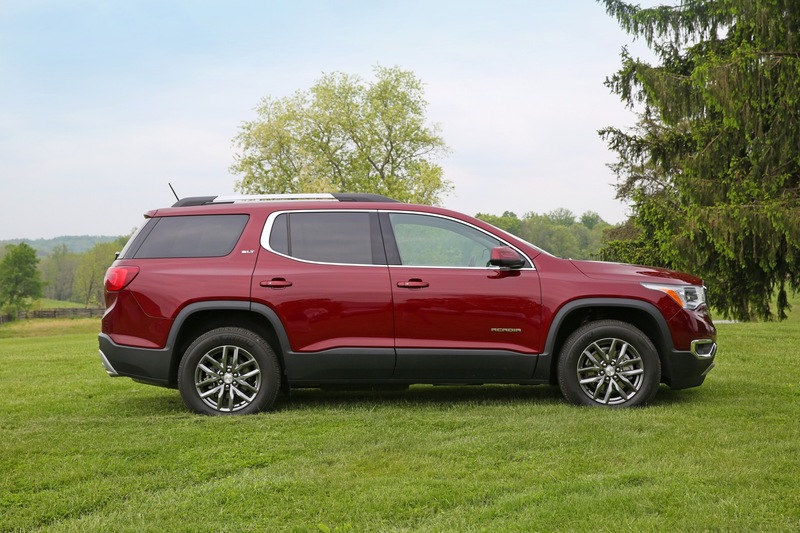 They should keep the Acadia name for the extended wheelbase version of this Lambda platform similar to what Chevrolet is getting for the Traverse. I love that front end look, not so much with rear. Really? 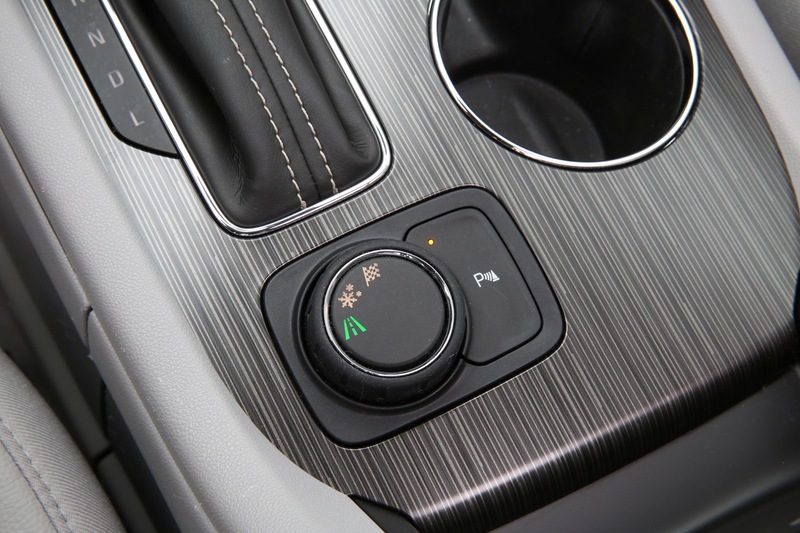 New vehicle with a 6-speed automatic? 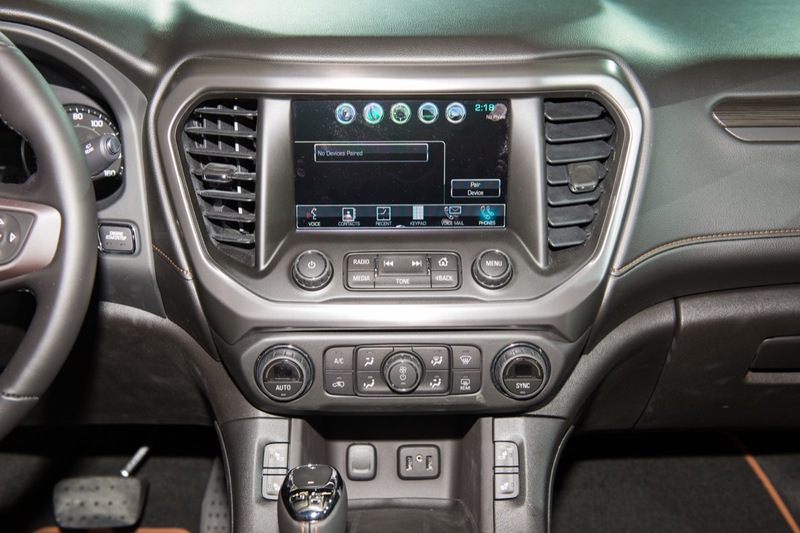 Helllooo, GM, the 21st Century called. At least please tell me it has push button start. 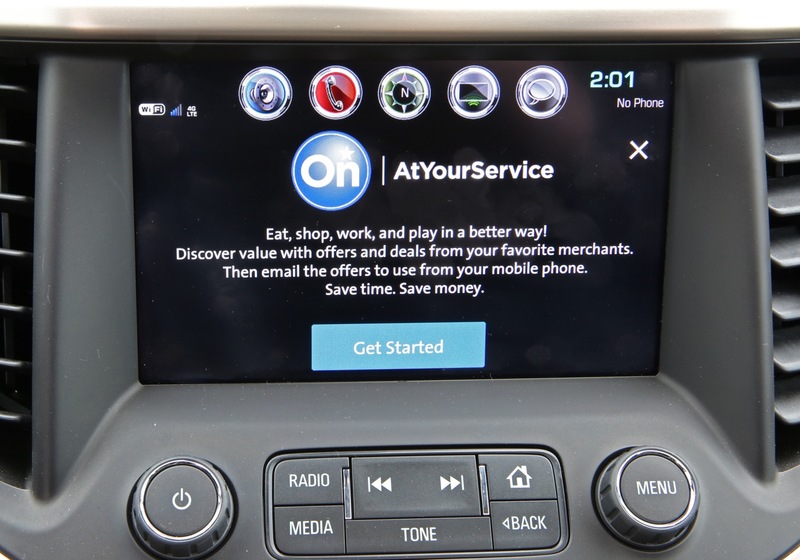 Or is that reserved for the mid-sized pickups. Oh, wait. 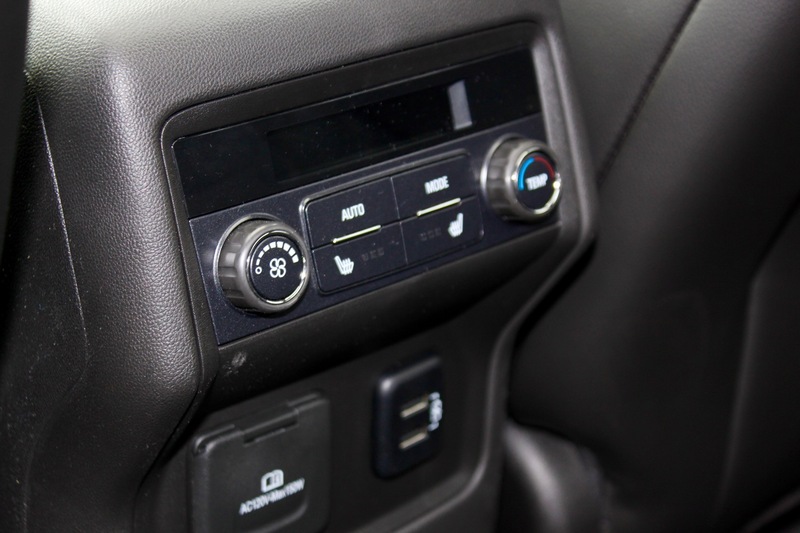 Both the 2.5I4 and the 6 speed auto seems out of place. 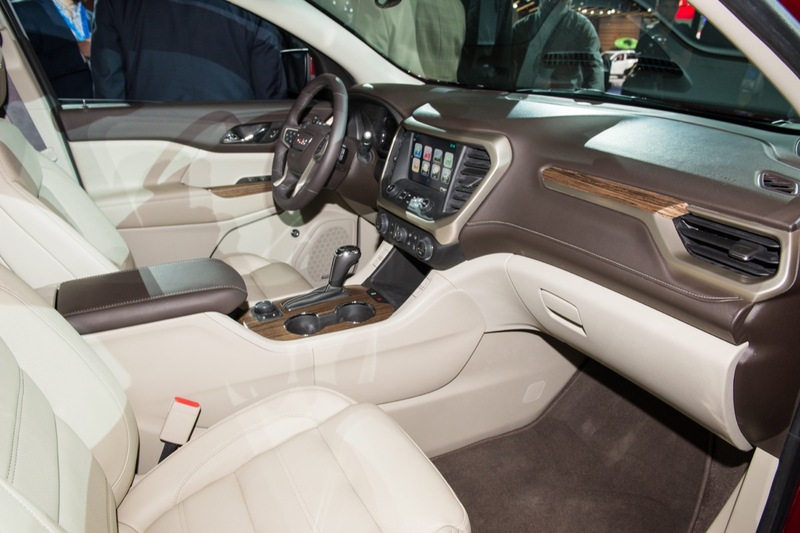 GM has a new 8 speed auto in it’s arsenal now being rolled out on the Malibu and Lacrosse. Why not use it here? 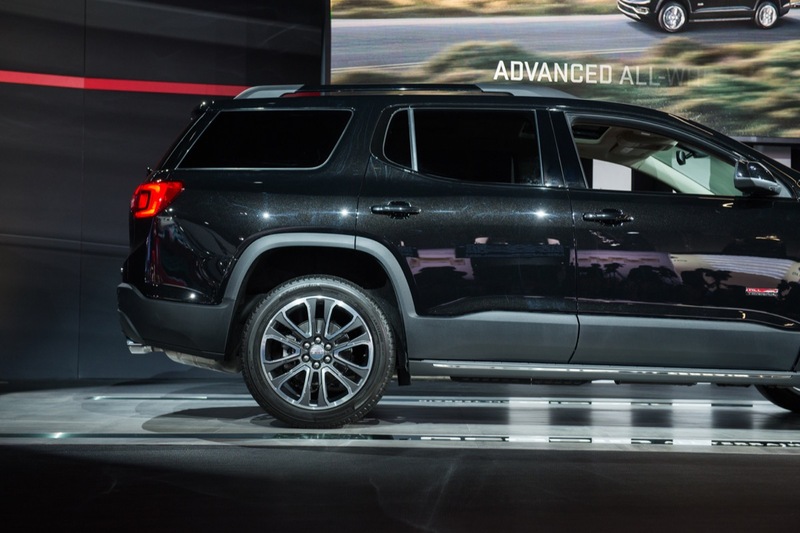 Looks good… i like that it looks truck based and doesn’t have a stubby nose like alot of other crossovers. 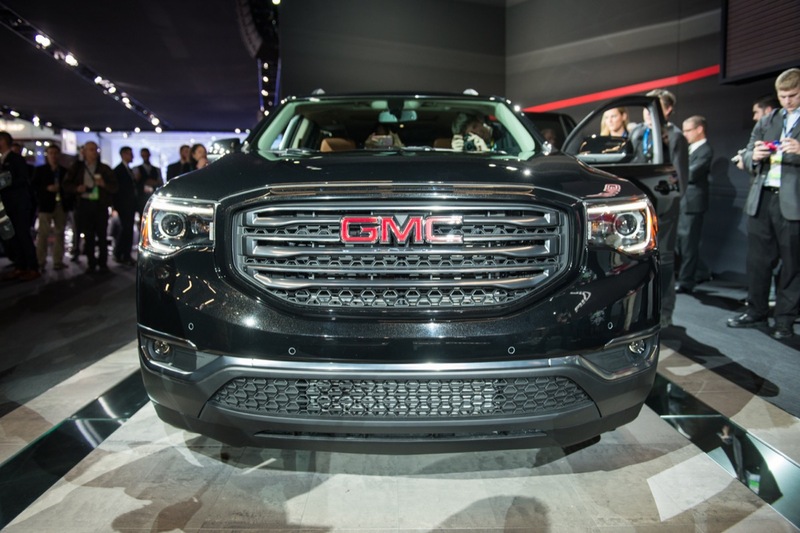 Wasnt there suppose to be a all new product reveal from GMC besides the Acadia? 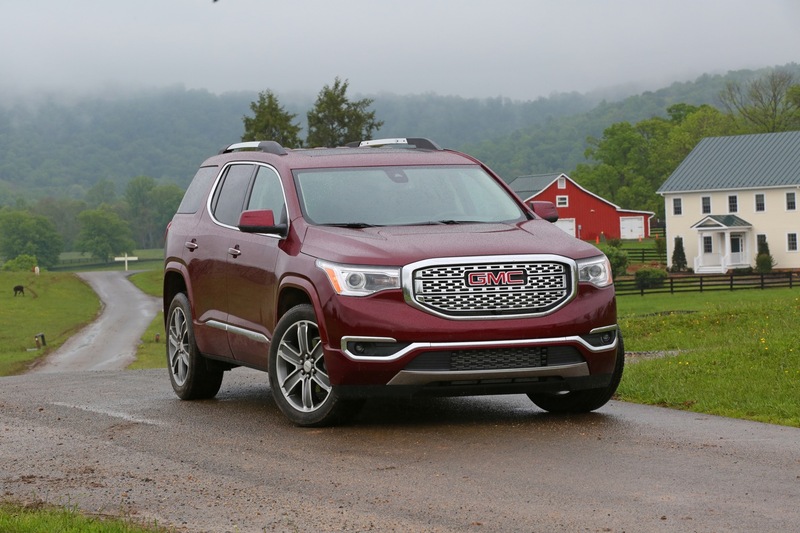 Only GM could brag about massive weight loss when shrinking a vehicle by an entire class size to barely bigger than a terrain. 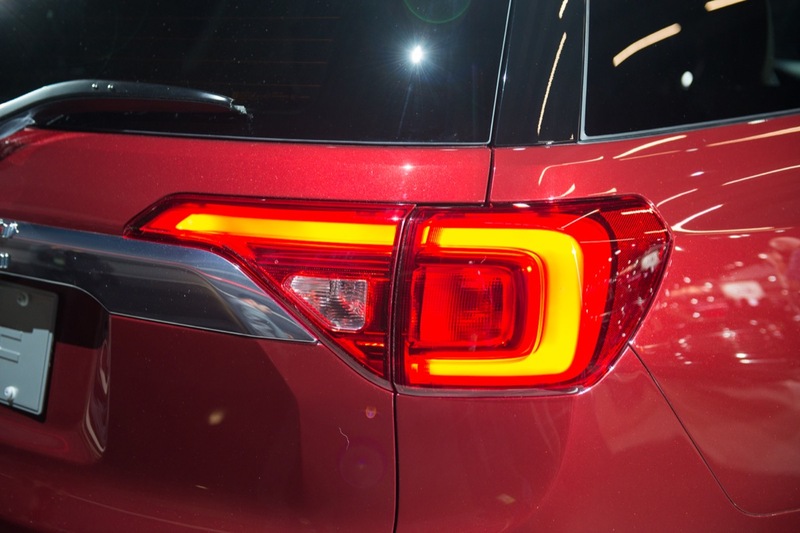 Disappointing fuel economy and this vehicle if anything will show how much better a vehicle the honda pilot is. Well some of you need to see the big picture. We may have learned a lot here vs. just sitting and complaining. #1 It is difficult to cut weight but they did. 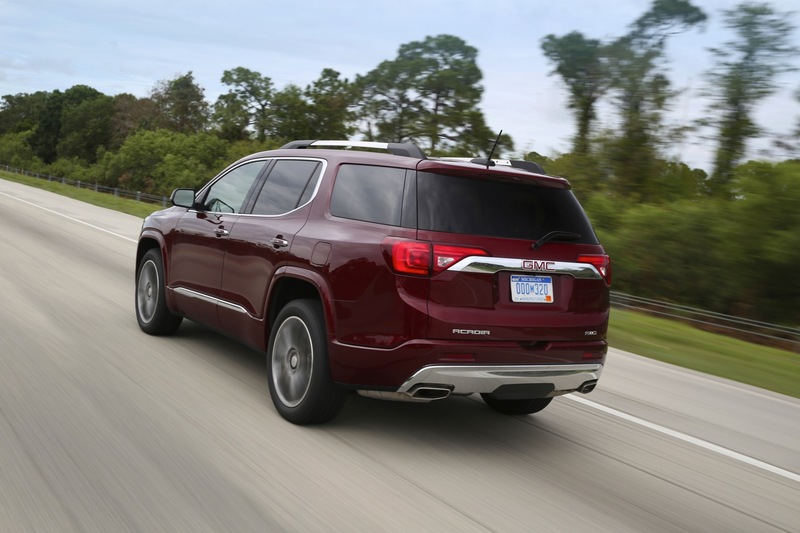 #2 this vehicle is set for the future as most people will be going to smaller engines and cutting weight. In some cases they will cut models. #3 The 8 Speed is not in great enough supply yet and will be here soon enough. They too wish they had it but it is just not available yet. #4 The one point that many missed. 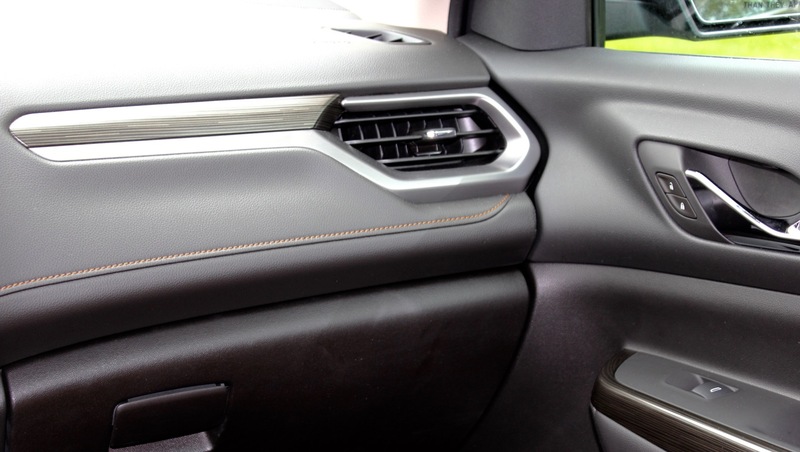 We have another SUV/CUV coming and it may be RWD AWD. That one may take the place of this one. 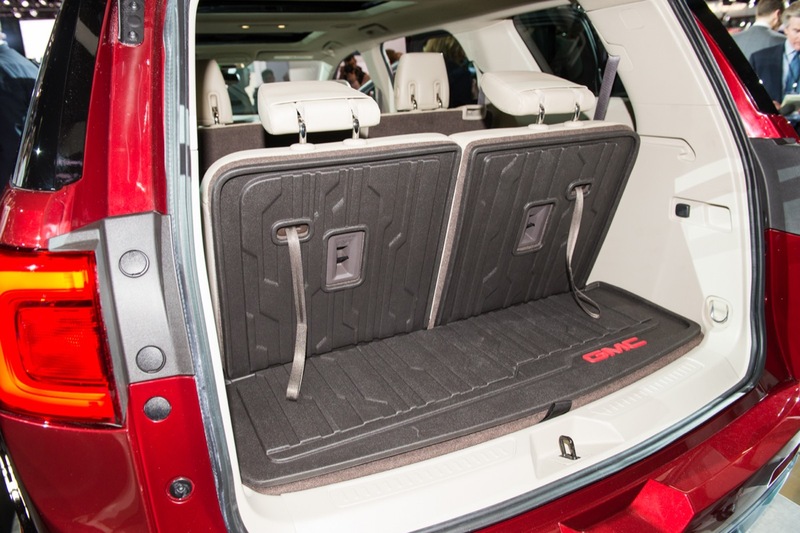 That would be about the size of a Canyon so we may see a larger and real SUV to come to take the slot this one occupied. All the models moved down to create room for the new model. Get it? 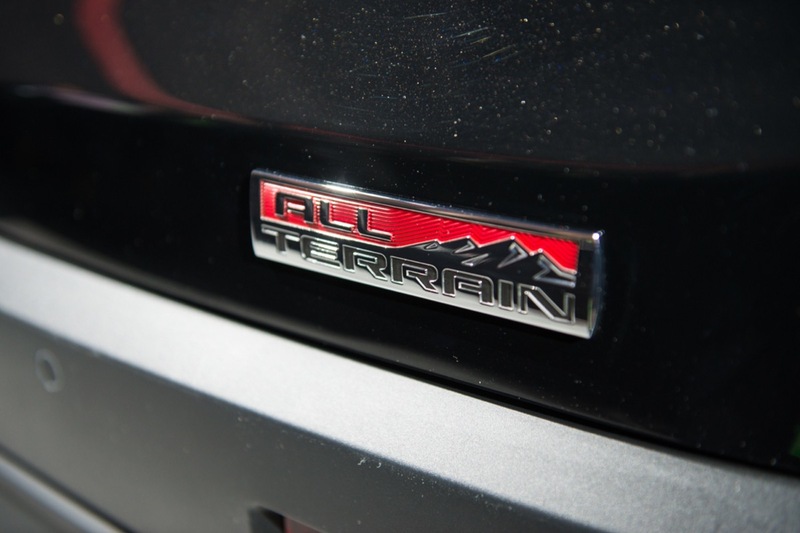 Also note this is terrain like in size and the 4 sells in greater numbers than the V6 that is offered. They are just giving what the people have been buying there. You just have to take in all the facts and not just what is in front of you. My concern is price. 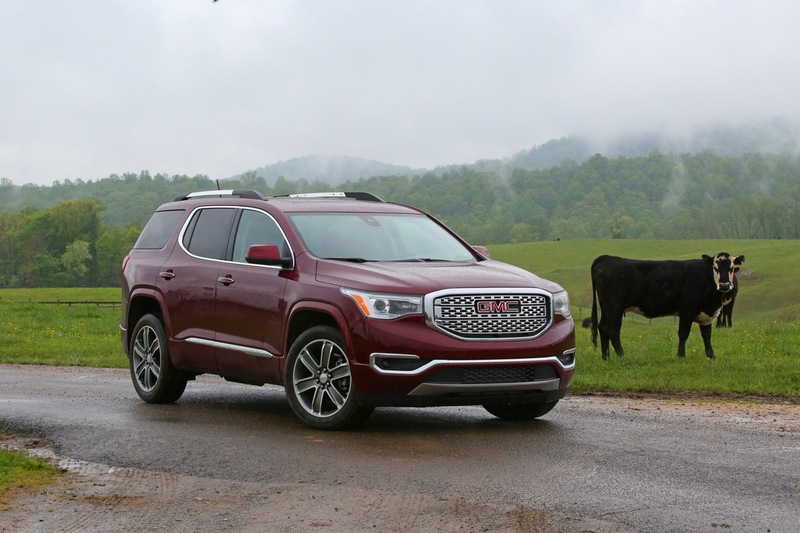 With the Terrain and Acadia moving down in size how will it affect pricing? If they charge what they were for the larger version it could really hurt. 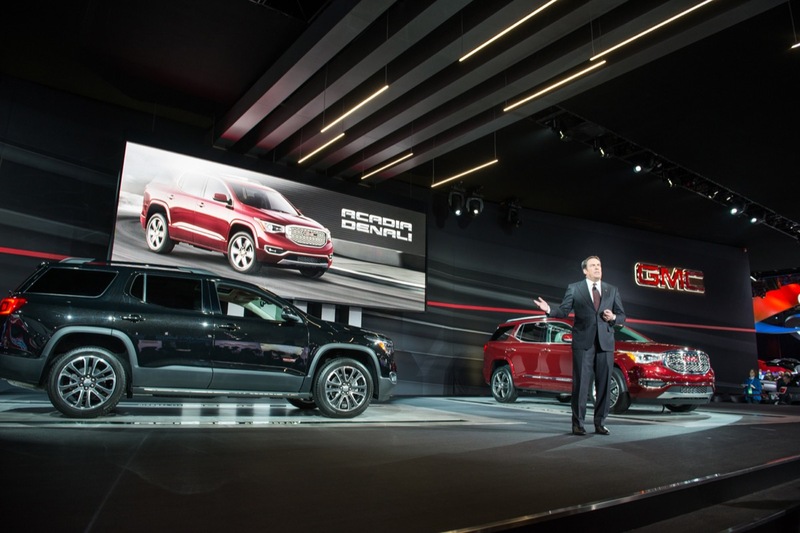 I expect price adjustments to meet class competitors but we will have to wait and see. Totally agree that 4 cylinder makes sense with the smaller size most of the competitors have 4 cylinders as well. 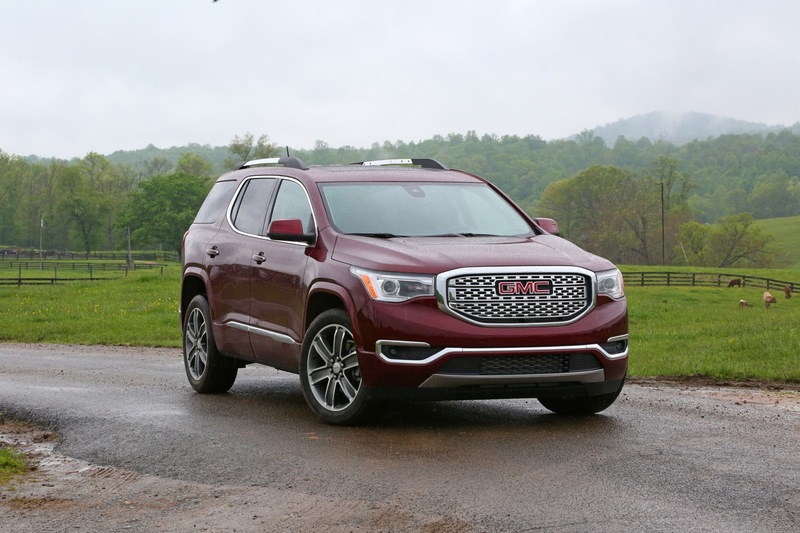 I’ll hold off on whether the eight speed 6 cylinder combo would be better than the 6 speed 4 cylinder combo until the mileage info for the XT5 is released since the XT5 and Acadia are about the same size. 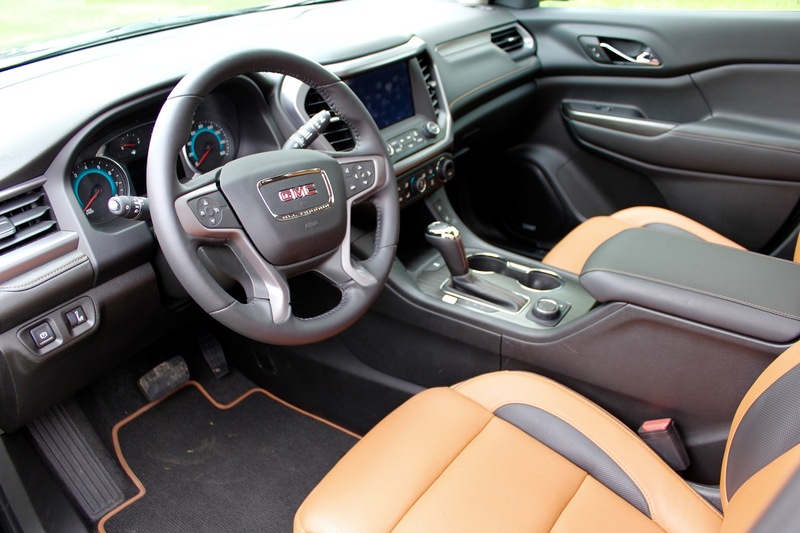 Do agree that the 8 speed is probably coming soon once more are available so it’ll probably be a moot point in a year or two, GM does have a history of introducing new vehicles with an old transmission but phasing them out over the first few model years. 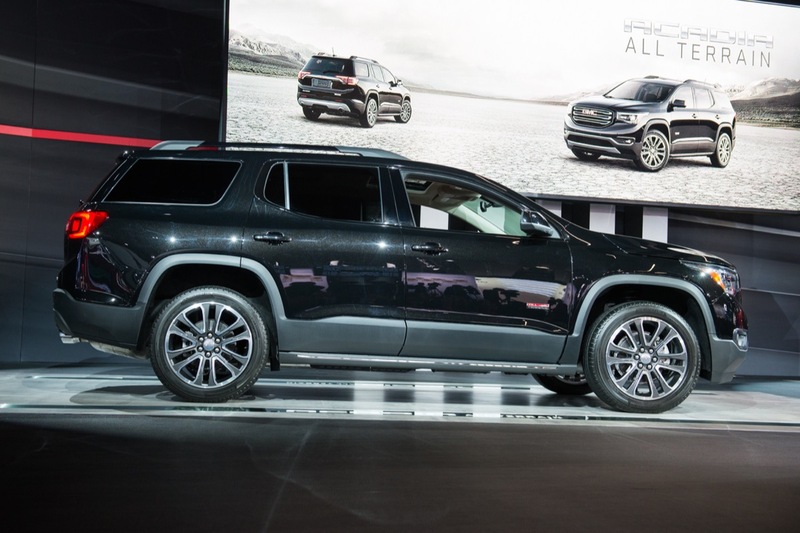 My only hope is that we see the new smaller Terrain soon(Chicago or New York maybe) it doesn’t make much sense to me if they have the current Terrain and new Acadia available at the same time they’re too similar in size. 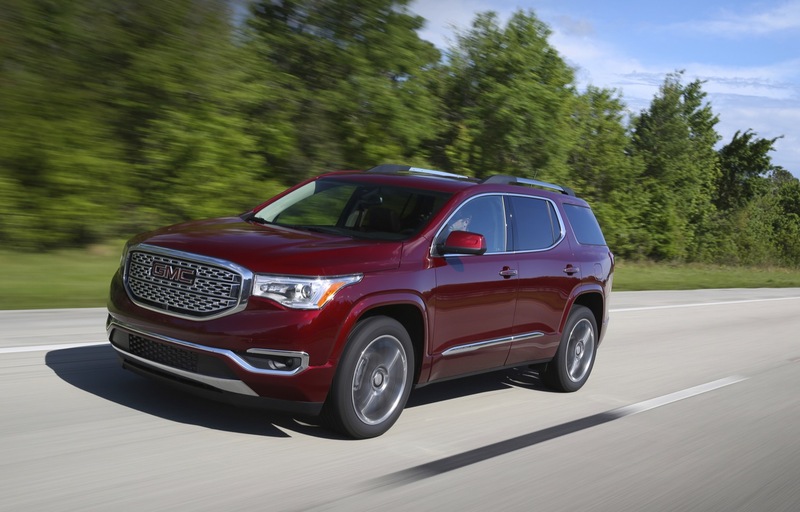 Not holding my breath for an RWD crossover to replace the outgoing Acadia, all rumors are pointing to an extended length version of the new Acadia platform to take that spot. 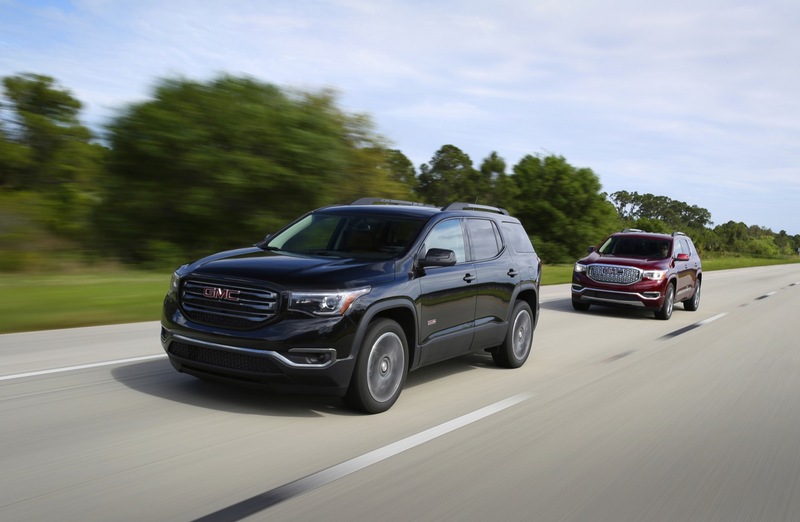 Something Canyon sized wouldn’t fit the bill necessarily anyhow, the Canyon is even as wide as the 2017 Acadia and the Colorado based Trailblazer is actually smaller than the 2017 Acadia. 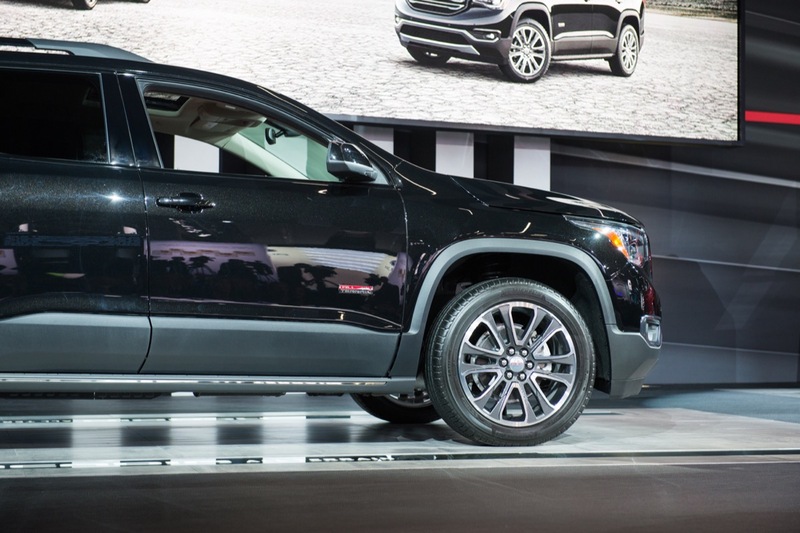 I was hoping they’d use the Colorado/Canyon platform for body on frame SUVs. 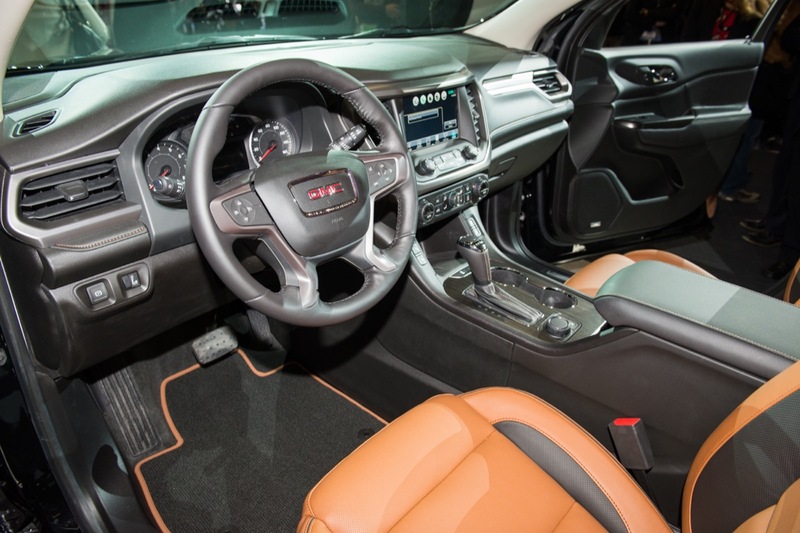 It fits GMC better. 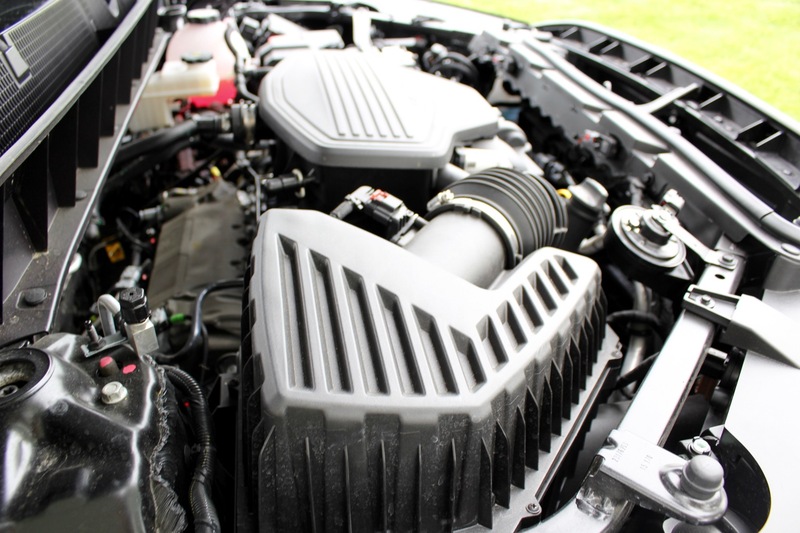 The 2.5L 4 cyl. non-boosted engine is going to have a difficult time moving around approx. 4000-4200lbs. period. 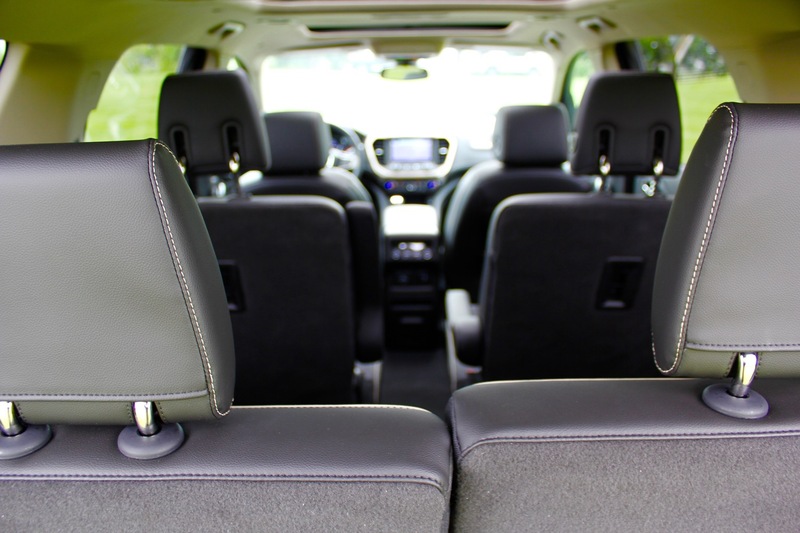 Then factor in a full load of passengers and luggage. It will barely be acceptable. Correct. Heck, the 3.6 in the current model has trouble motivating the 4900lb one. We own one. Pass. There is no way the 2.5 coupled to a 6 speed has sufficient torque for that car. 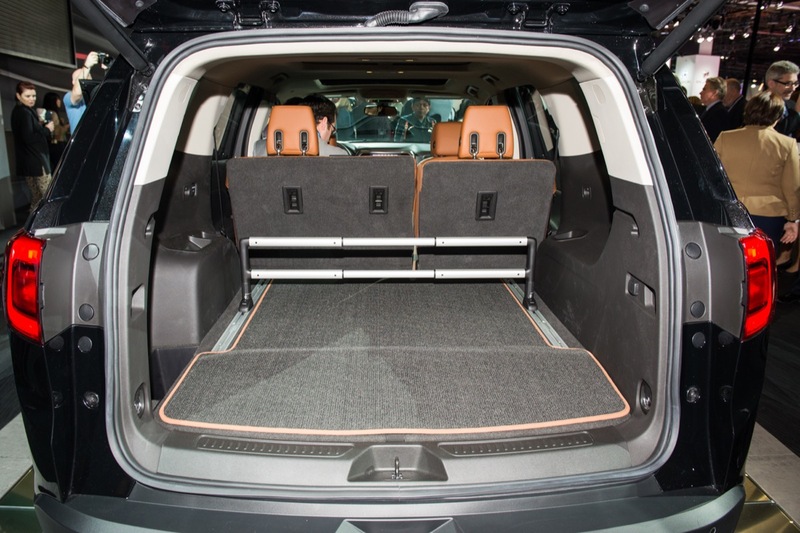 Well it will probably be an extended version of this platform not the same size as the 2017 Acadia, doesn’t seem like Cadillac plans on sticking a third row into the XT5. 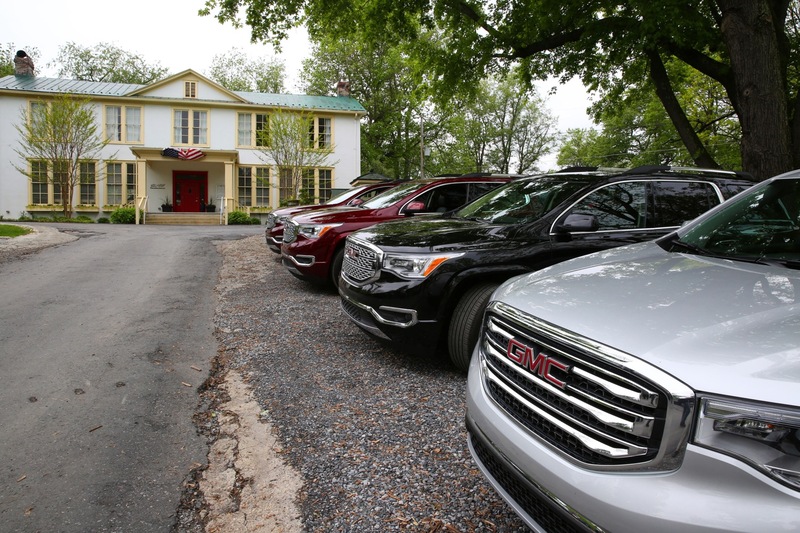 I hope Ewe Ellinghaus fights adding more FWD Cadillac CUVs as hard as he fights FWD Cadillac cars. 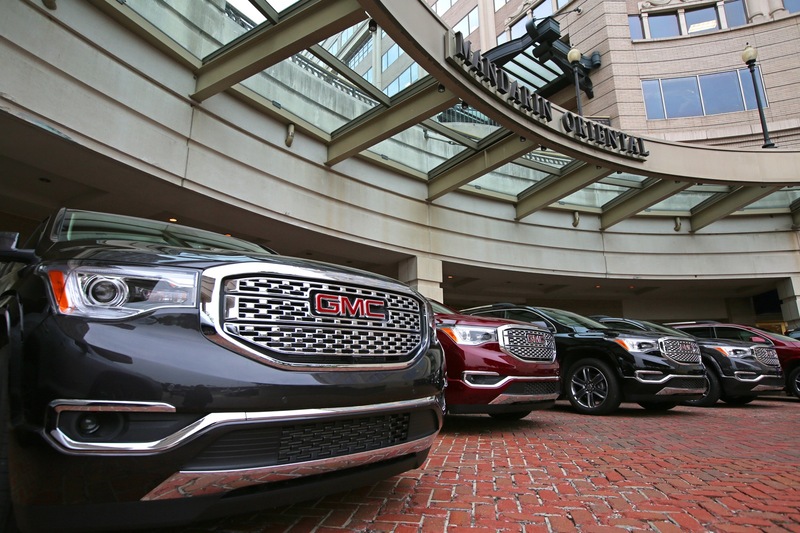 They can’t afford to have a gussied up anything in their lineup. 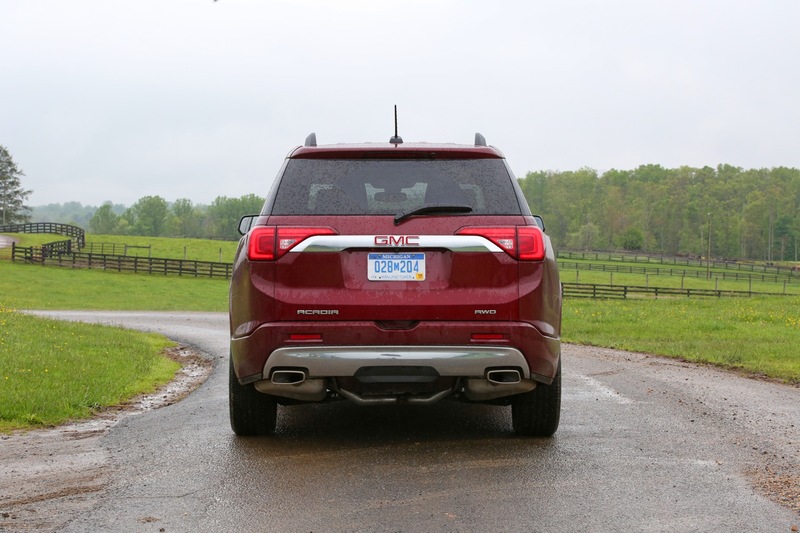 This is actually the same platform as the 2017 Cadillac XT5: E2XX. 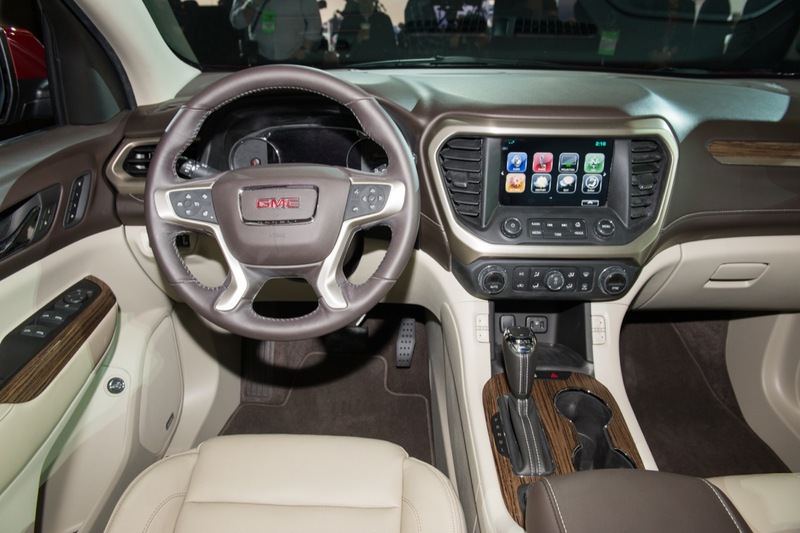 GMC seems to really have confused things by making the Acadia so much smaller. 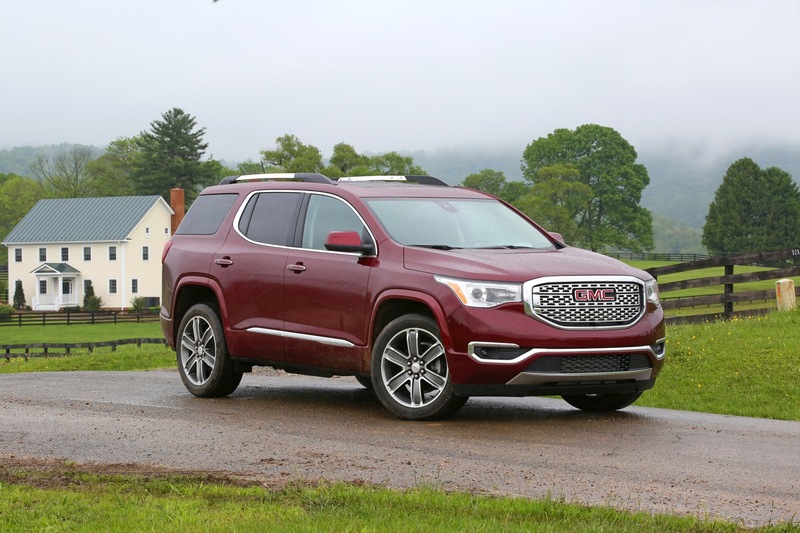 Consider that the current Terrain has the same wheelbase (112.5 inches) and just 10 inches overall shorter than what the Acadia currently is. 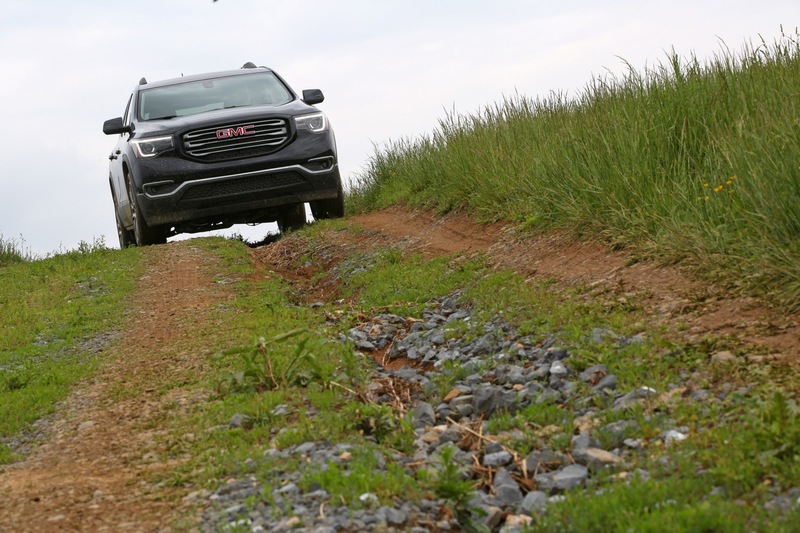 This means that for the next Terrain they are going to have to significantly downsize it also in order to create a suitable gap between the two. The only way this makes sense if for a bigger than Acadia 3 row crossover to be on the way within say the next 2 years. Rumors point to that being exactly what is going to happen! 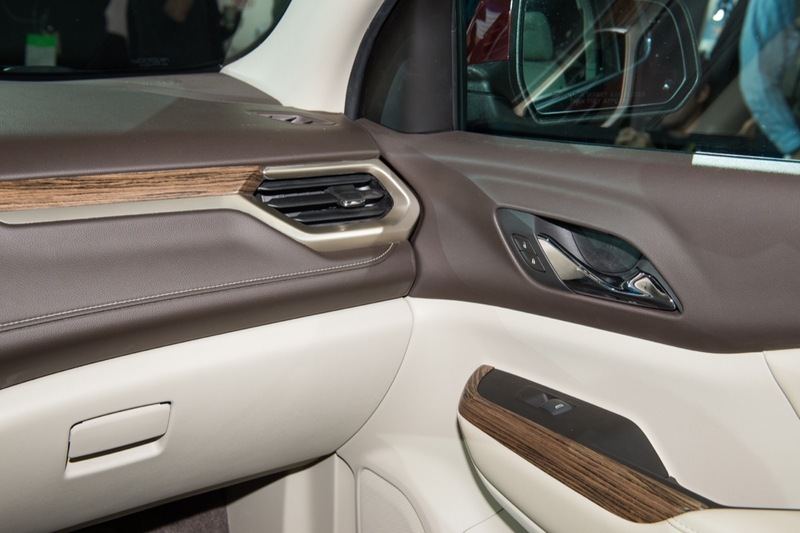 The next Terrain will probably be sharing the platform and 108in wheel base of the Buick Envision becoming a true compact crossover instead of the extra large compact/small midsize that it is today. 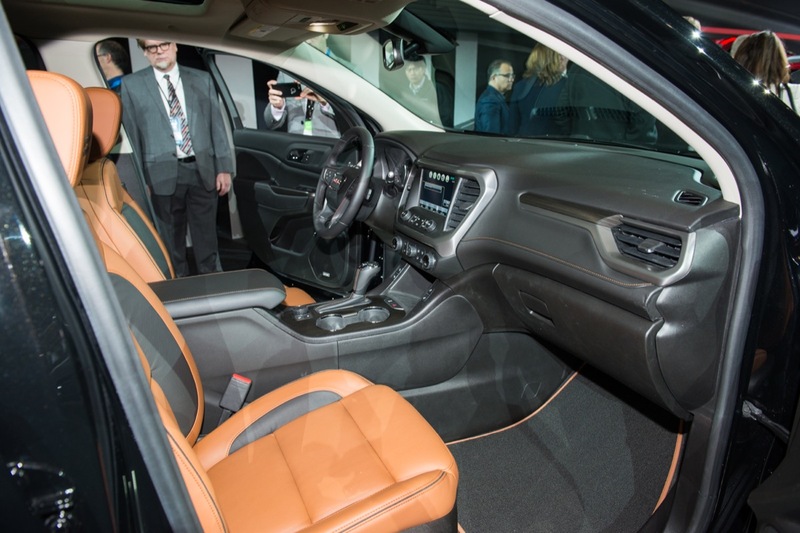 And while the envision is only 12 inches or so shorter than the 2017 Acadia they are both sized right for the competition the Envision is a few inches away from the Ford Escape and the 2017 Acadia is sized between the Ford Edge and Explorer. 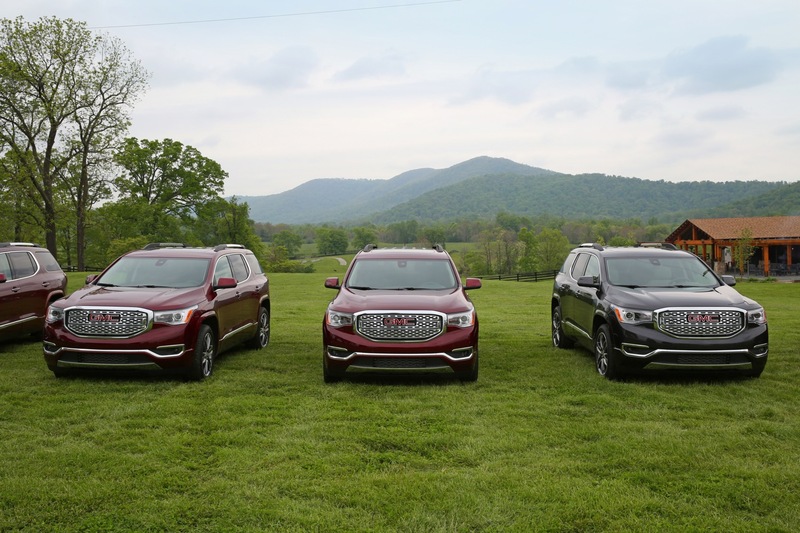 So basically this year Buick/GMC dealers will have a pretty nice CUV spread, compact Envision, tweener Terrain, midsize Acadia and fullsize Enclave. I’m fully aware of that. 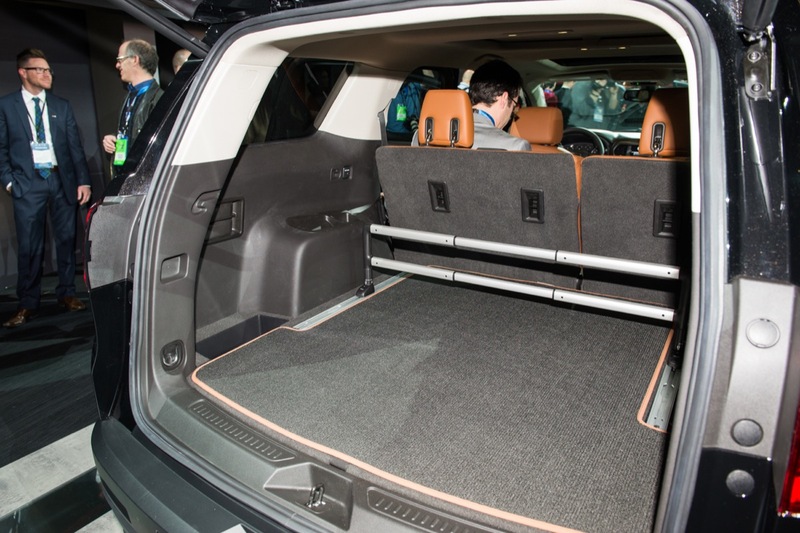 I hope the XT5 is the last FWD Cadillac they engineer. 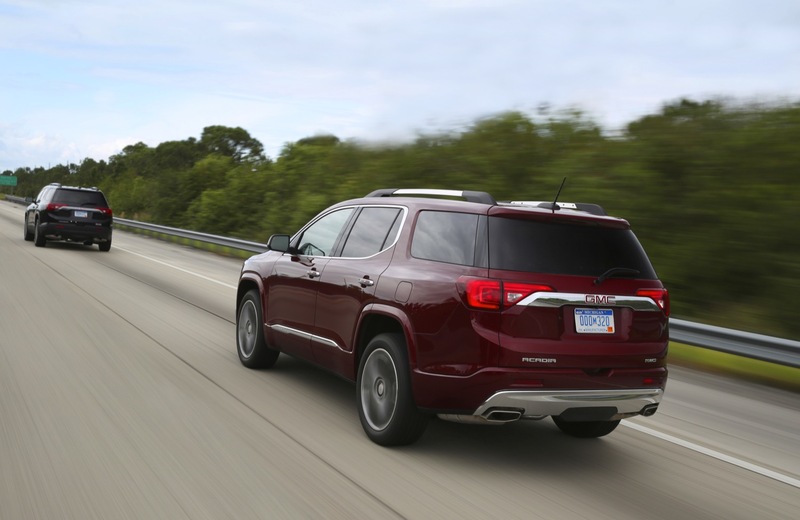 If DeNysschen and Ellinghaus feel the same way about FWD crossovers as they do FWD cars, my best guess is that they’ll put effort into engineering a RWD/4wd platform to underpin all future Cadillac crossovers. 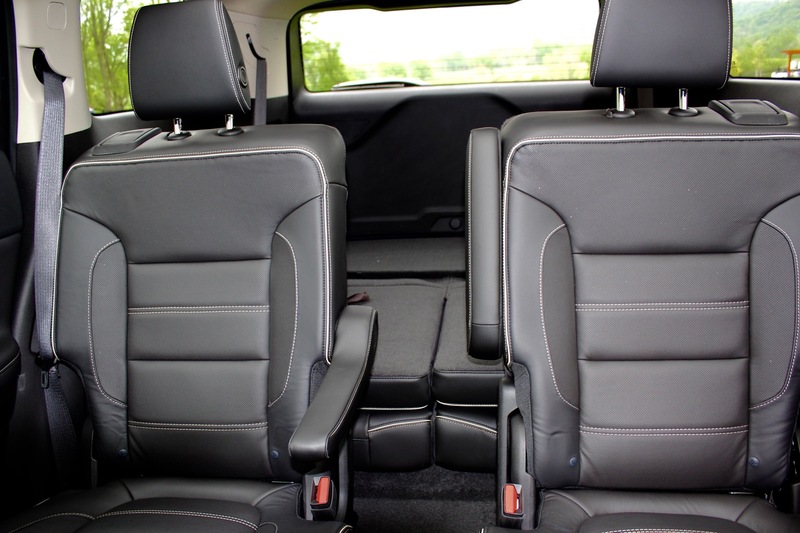 This could include a mid-size three-row CUV to compete with the X5 and Q7. Worst case scenario is that they simply stretch the C1XX, slap Cadillac designs on it and call it a day. 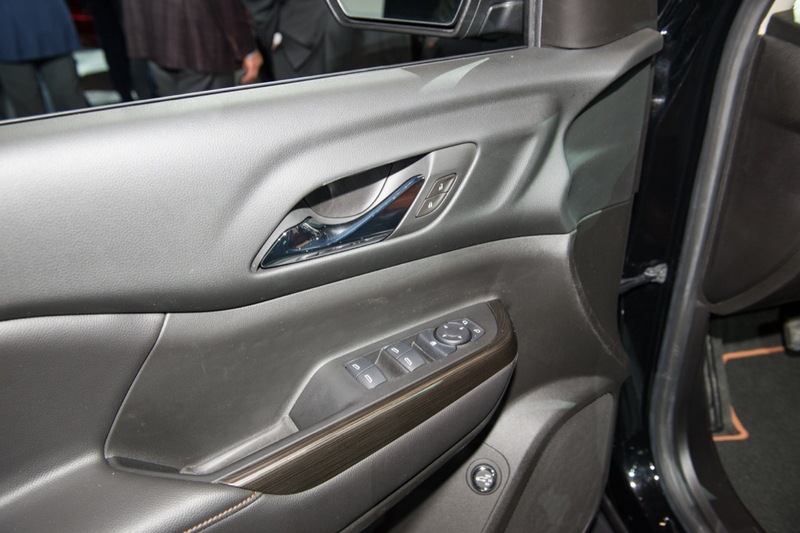 They’d better not build a QX60-fighter. 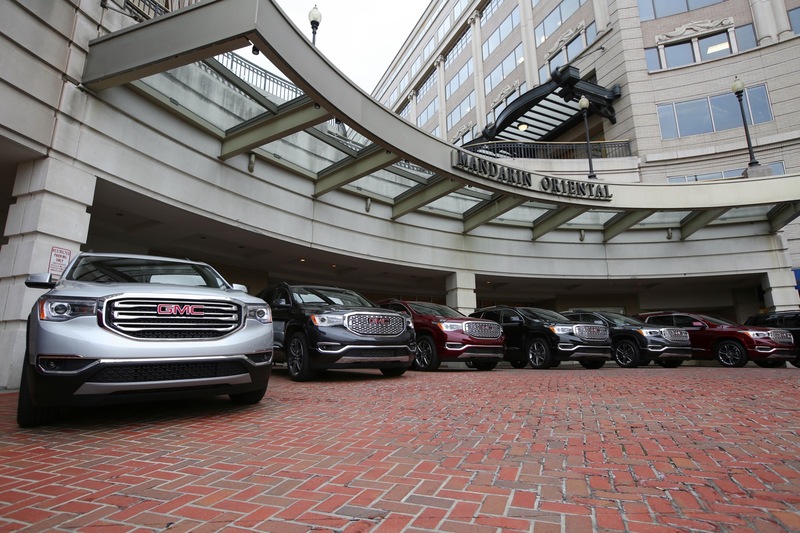 Equinox was OK with the 2.4 in fwd. To scale, this is about the same. I am very disappointed they removed the Head-Up Display (HUD). 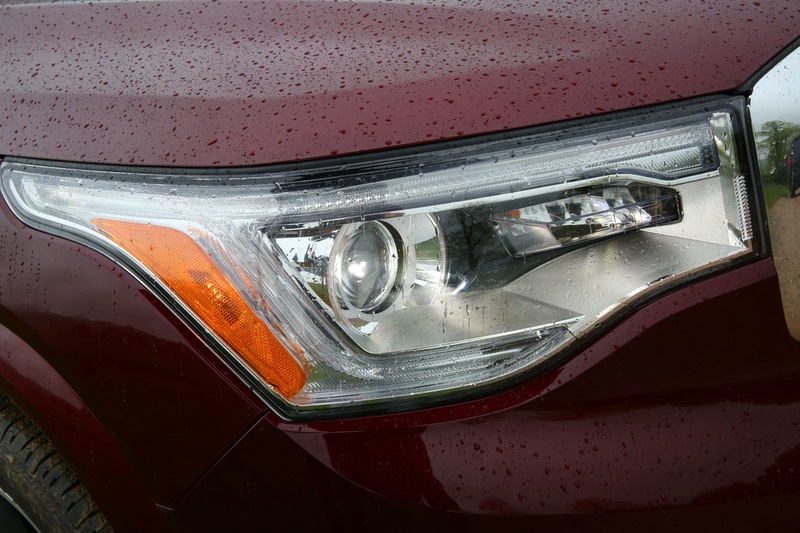 I have found it extremely useful and an consider it saved my life not looking down to check the speed for a split second and hitting a deer (which happened in a non-HUD Acadia a few years back). 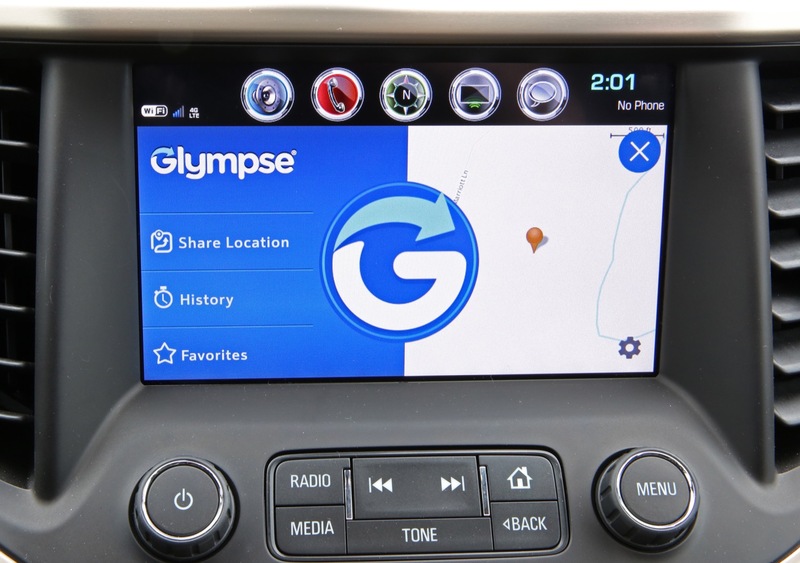 Very helpful in my job on the road showing the Navigation instructions without needed to take your eyes off the road. 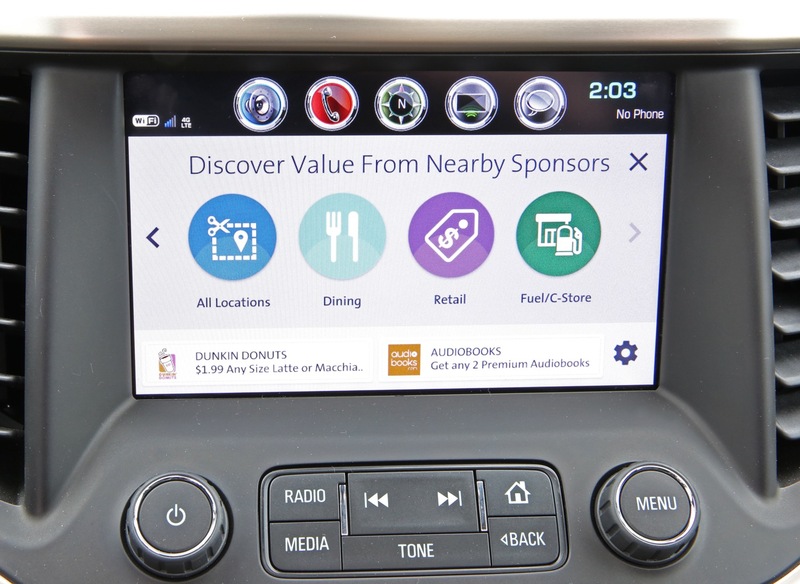 I have had a HUD in my vehicle since 1990 (Pontiac Grand Prix) and can’t afford a Cadillac so I guess those days are gone now just as other auto manufacturers are starting to put them in. 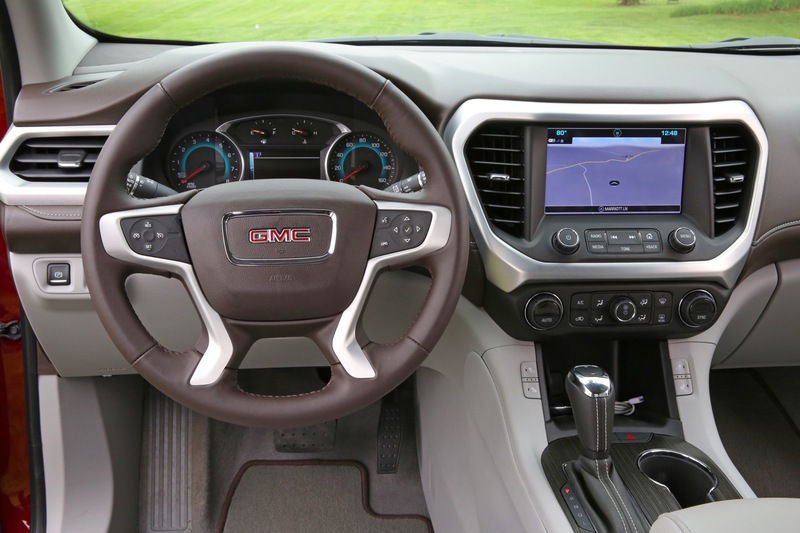 My local dealer has said many of his Acadia conquest sales to the SLT and Denali line were clinched on the HUD since it was unique to GMC, and to GM for the most part, especially for a non luxury brand. Can one live without it, sure, but it will be missed after having an affordable middle-class vehicle with a HUD for 26 years. 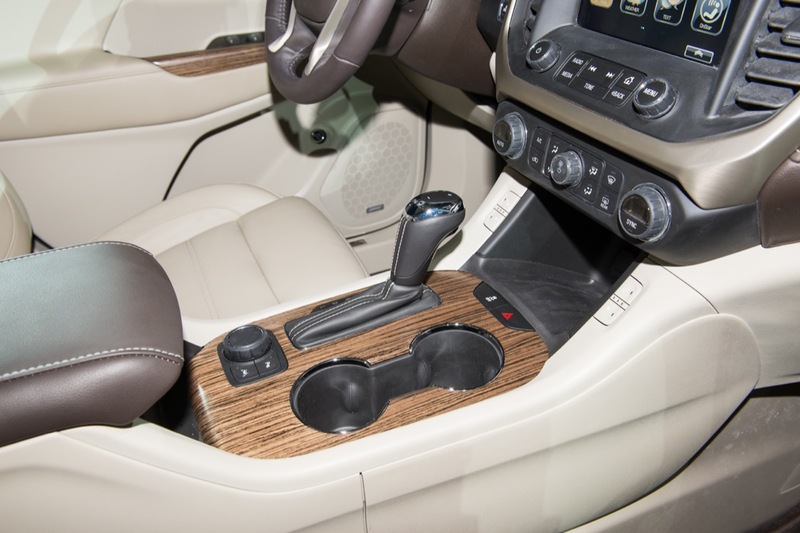 Disappointing, along with not having a 8 or 9 speed transmission as already mentioned. 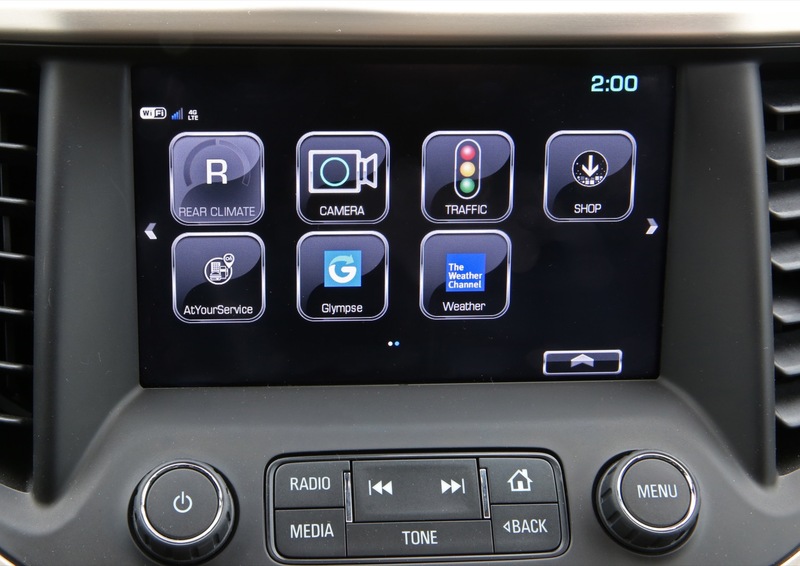 Otherwise, looks sharp and has the other newer technology. 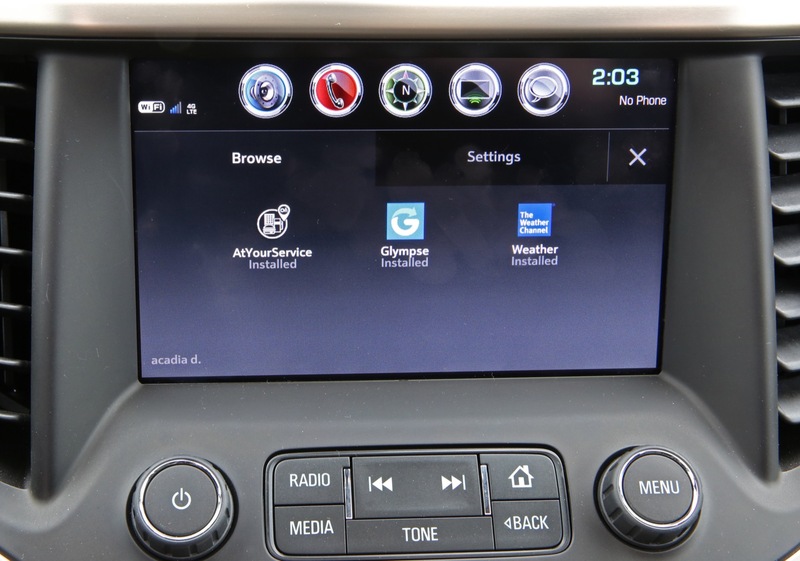 Looking at some of the pictures, it appears that HUD is still an option. 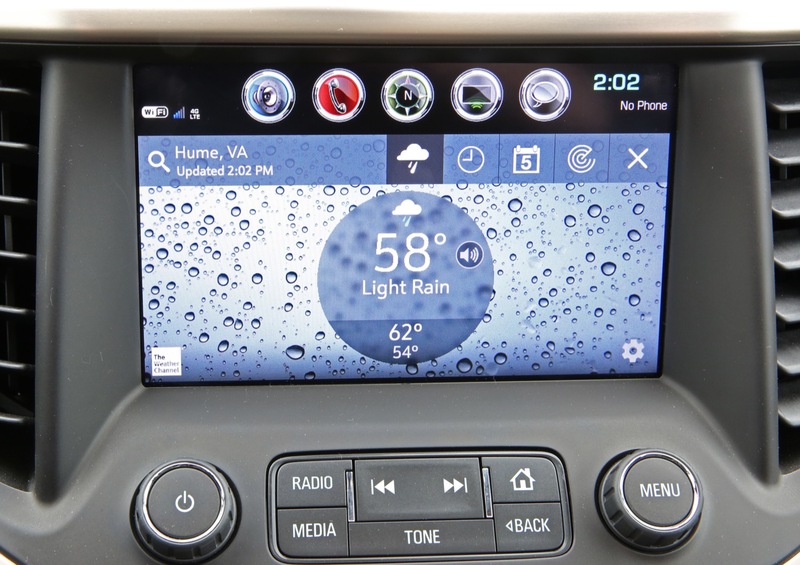 If it’s not HUD, I don’t know what that hole in front of the driver on the dashboard is then. I did see this, but it doesn’t look large enough. 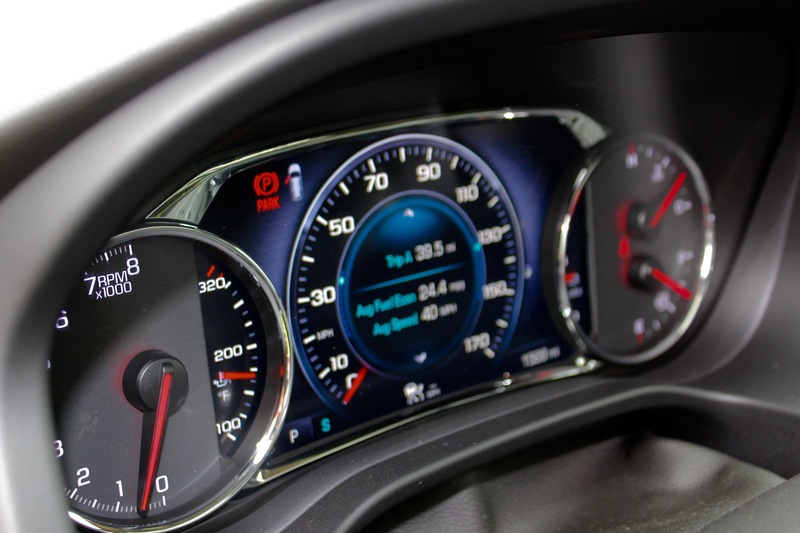 Looks about like the newer windshield notification displays for Forward Collision Alert and new Pedestrian Alert and Adaptive Cruise. 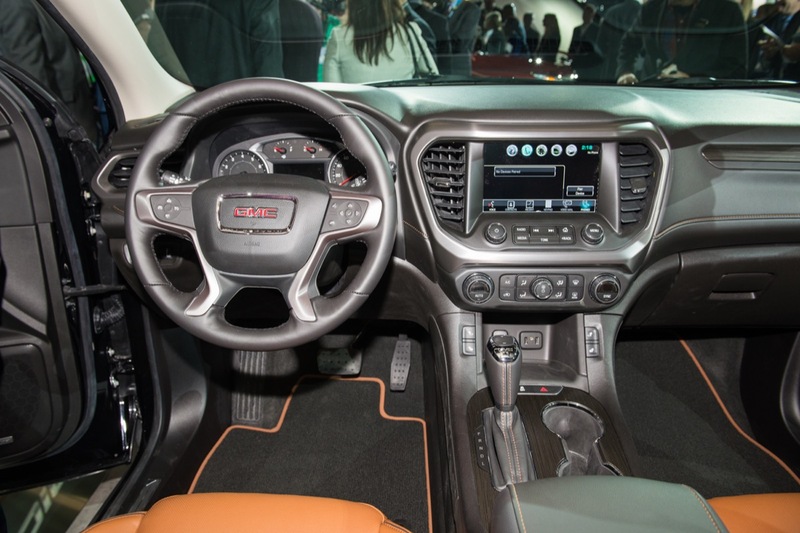 The GMC website makes no mention of HUD and in the pictures I am not seeing and of the HUD control on the dash or instrument panel. 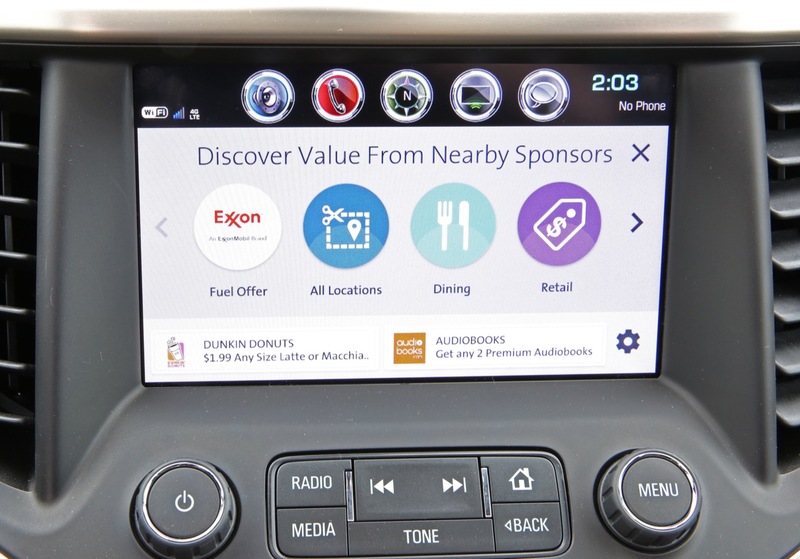 The color HUD on the Yukon Denali with the phone call info, Adaptive Cruise, etc. is great. 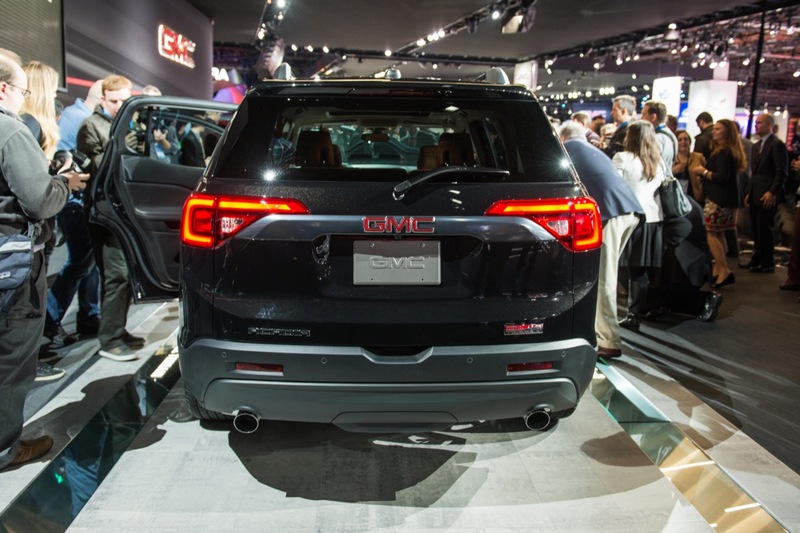 But I am not rich enough to afford those vehicles as the Acadia SLT-2 was about my limit. Still have the fingers crossed. 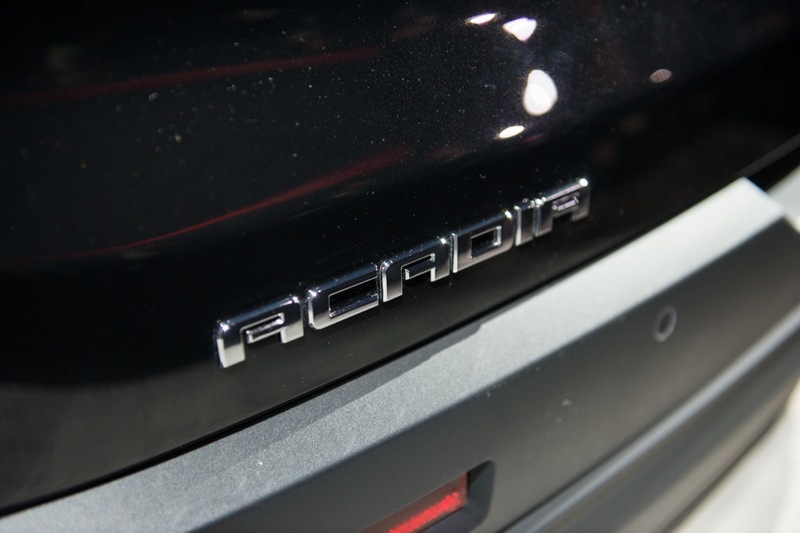 Honestly, I’m a bit underwhelmed by the new Acadia. 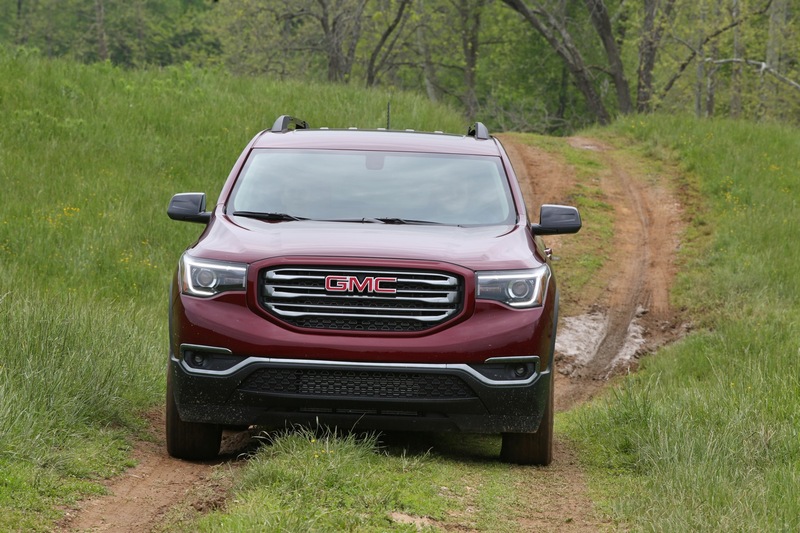 What I do find appealing is the 700lb weight reduction, the available active twin-clutch AWD system and the interior layout. 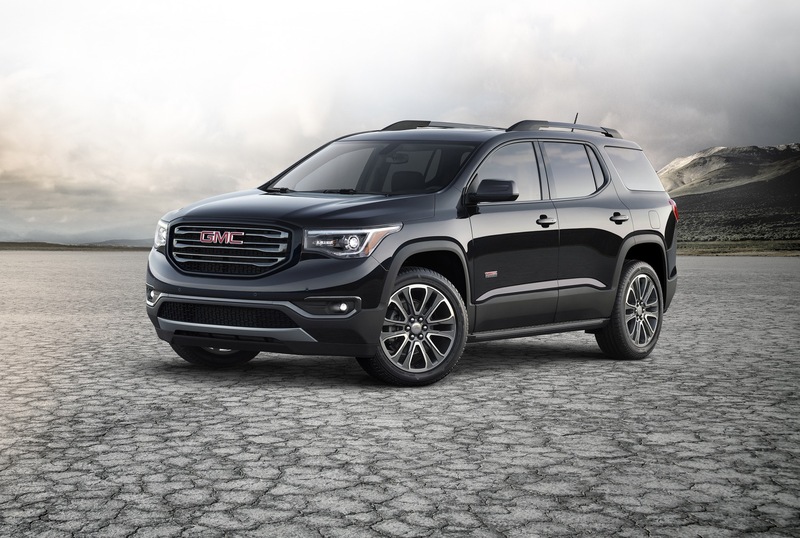 Nevertheless, the overall design resembles a Buick Rainier, with hints of the 2012 Durango! Not very good! 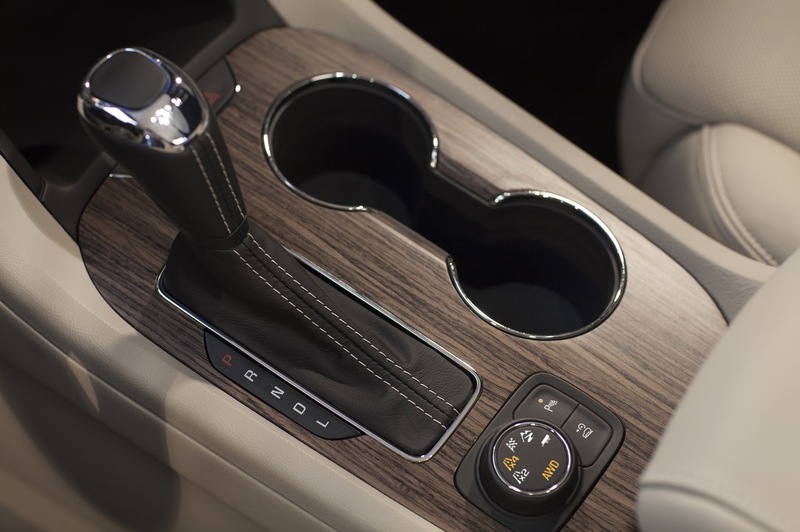 Plus the lack of an 8-speed auto?! In 2016?! 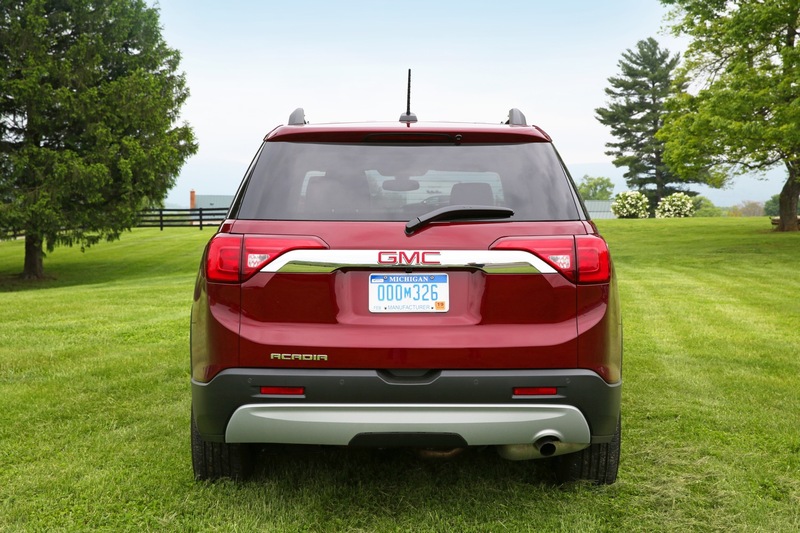 C’mon GMC! Get with the times!!! 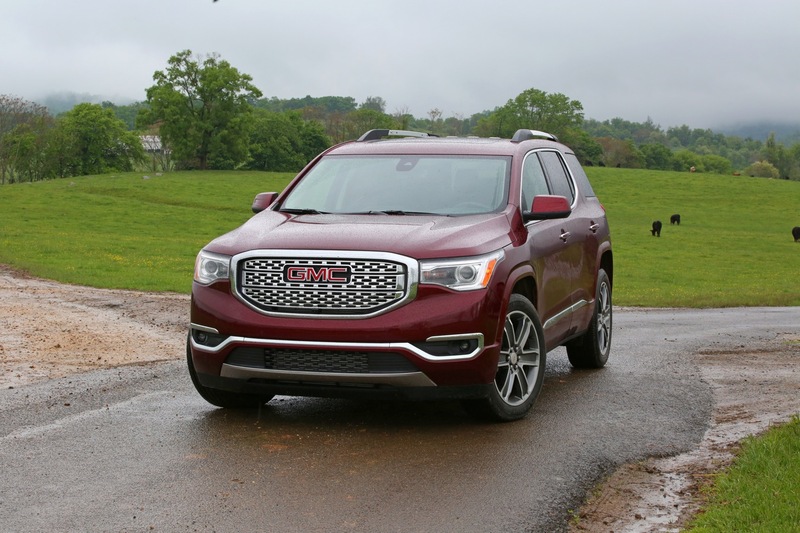 (I suppose the upcoming Buick Enclave will come standard with the 8-speed to better distinguish it from the GMC and Chevy platform mates, which could explain why the new Acadia doesn’t have it available.). 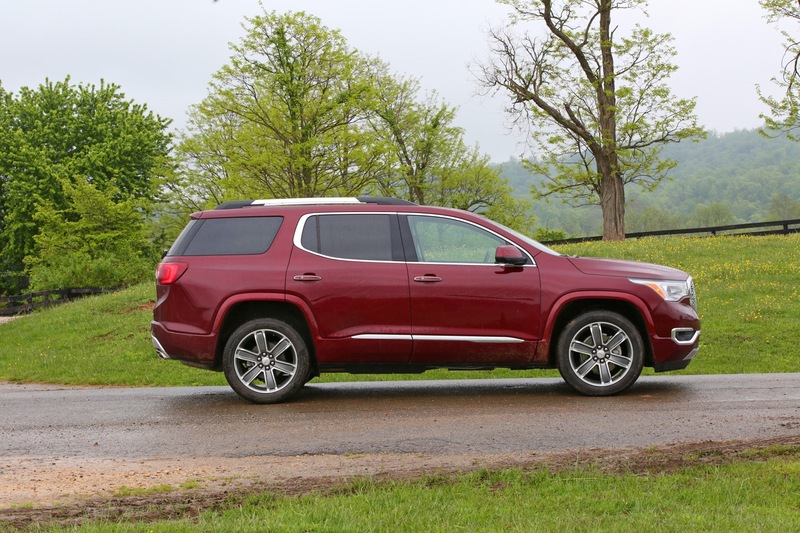 Plus GM’s decision to downsize Acadia is disappointing to say the least; but I suppose this contributes to the 700lb weight reduction. 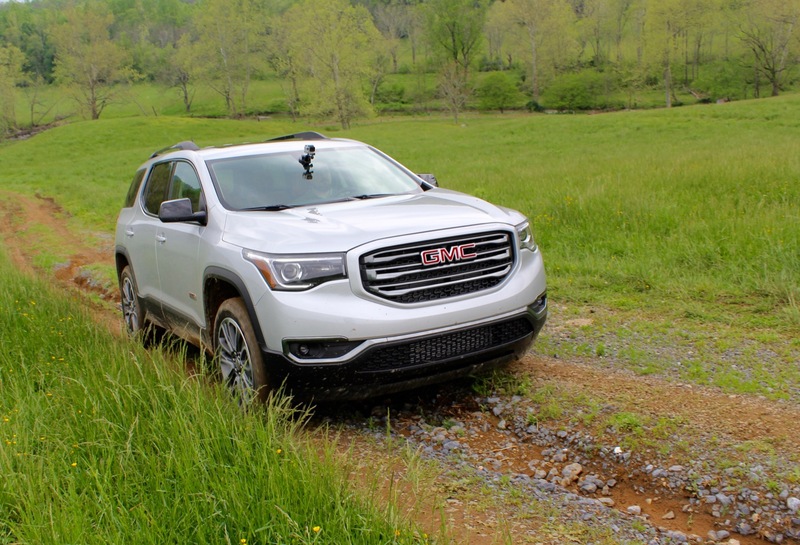 Then the underwhelming 2.5L 4-cylinder is introduced to further water down the Acadia’s appeal; but I understand that this could end up being quite popular with those seeking fuel efficiency. Finally, why is there no HUD option listed? 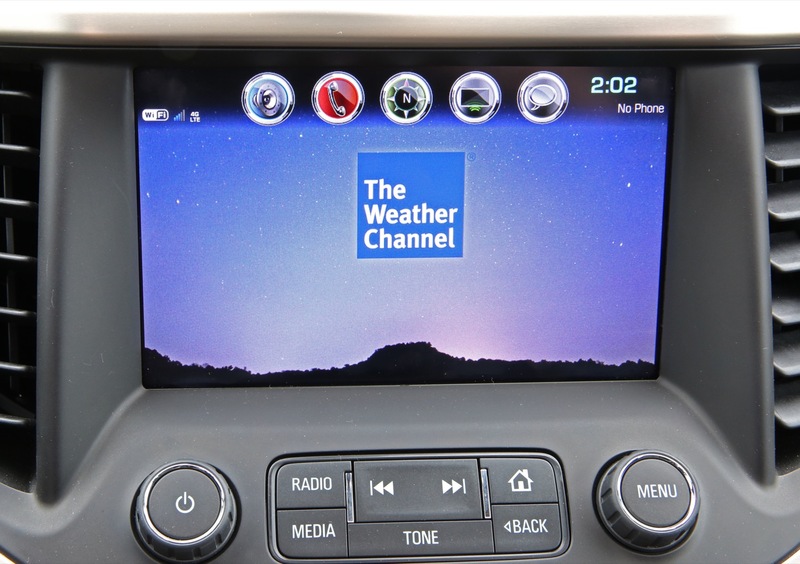 I hope it’s still offered on the Acadia. 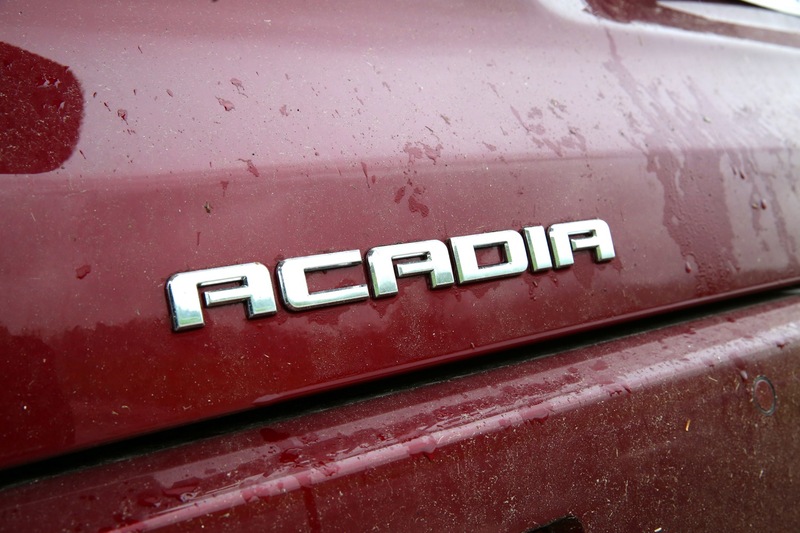 Everything else is not much better (or worse) than the current Acadia. Seeing as to how successful it’s been throughout its ten year history, I suppose this is a good thing. 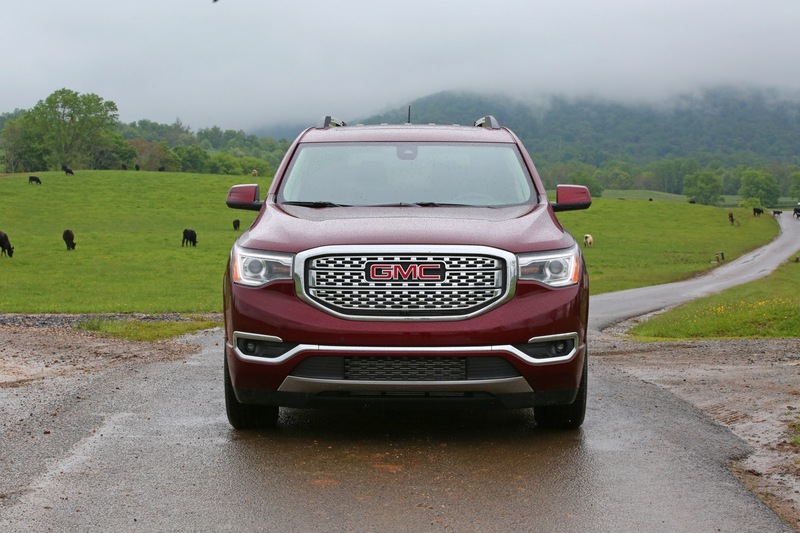 Overall, I expect the 2017 Acadia to remain successful for GMC. 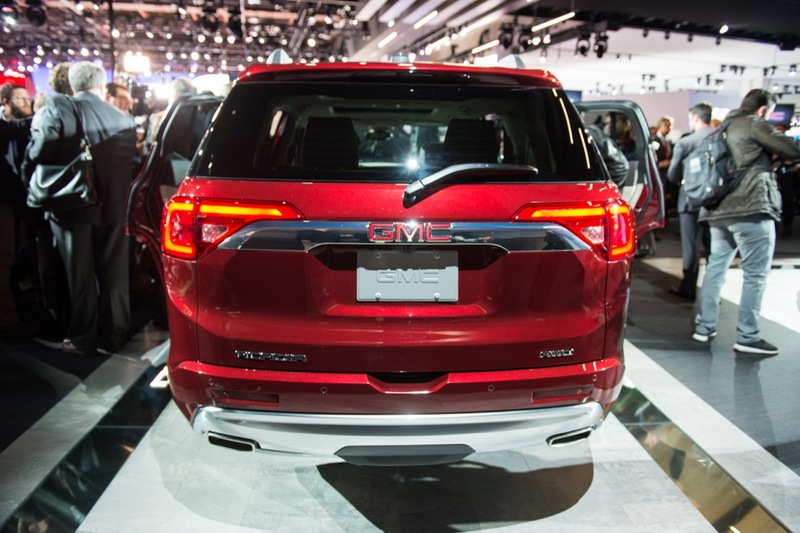 However, this has watered down my interest in the upcoming Traverse since it pretty much showcases what to expect from that model. This looks hideous. I am disappointed with how it looks. Why make it lower? and shorter? it is already a bit on the small size to begin with. 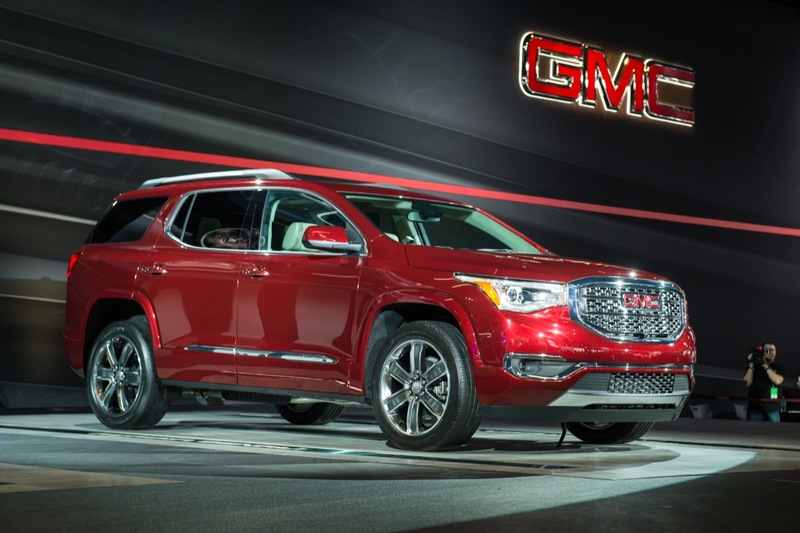 Meh; it’s a nice improvement on an already nice SUV, but it introduces nothing groundbreaking or revolutionary to the segment. 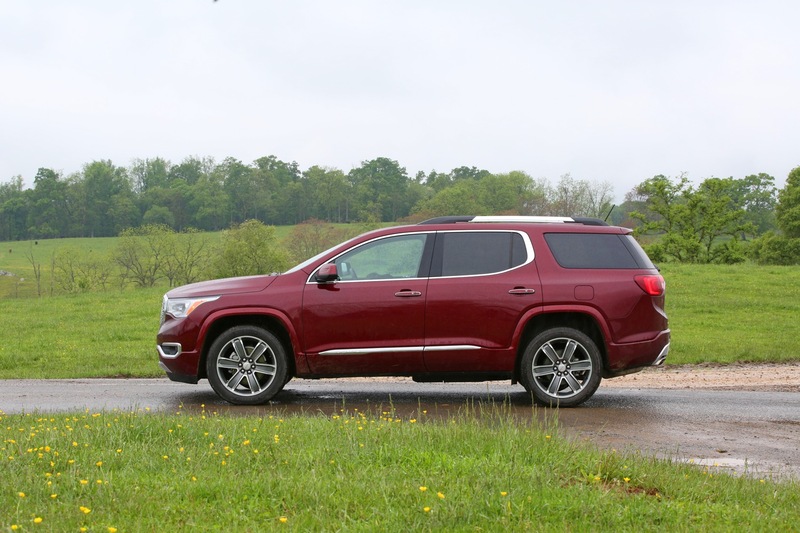 My favorite SUV in this class currently remains the Jeep Grand Cherokee. 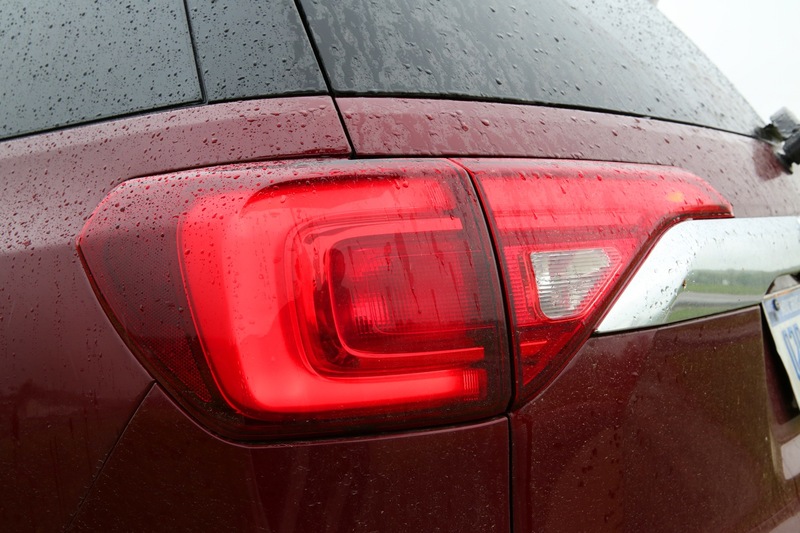 However, I do like the Ford Explorer with the 3.5L TTV6 as a close second, along with the new Honda Pilot. 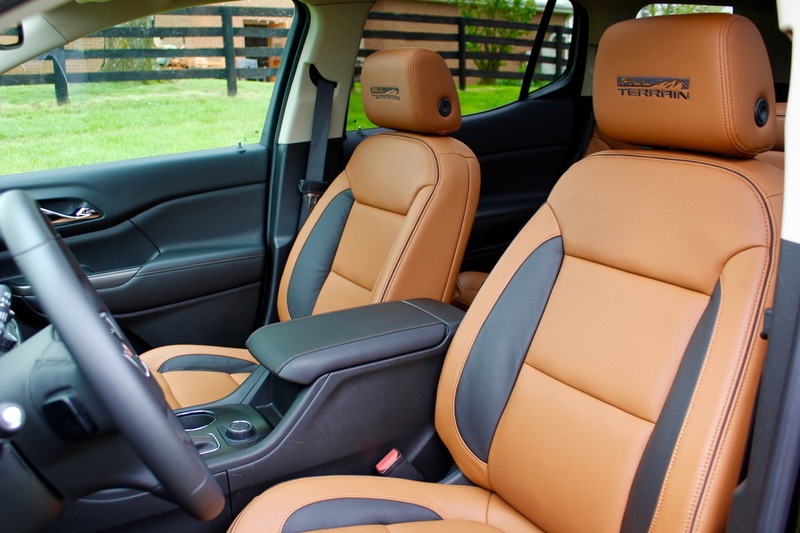 Let’s see what the next Buick Enclave brings to the table….. I suspect the Enclave will follow the same formula just have slightly more upscale trimmings. Cool. Other than the size decrease I like it. 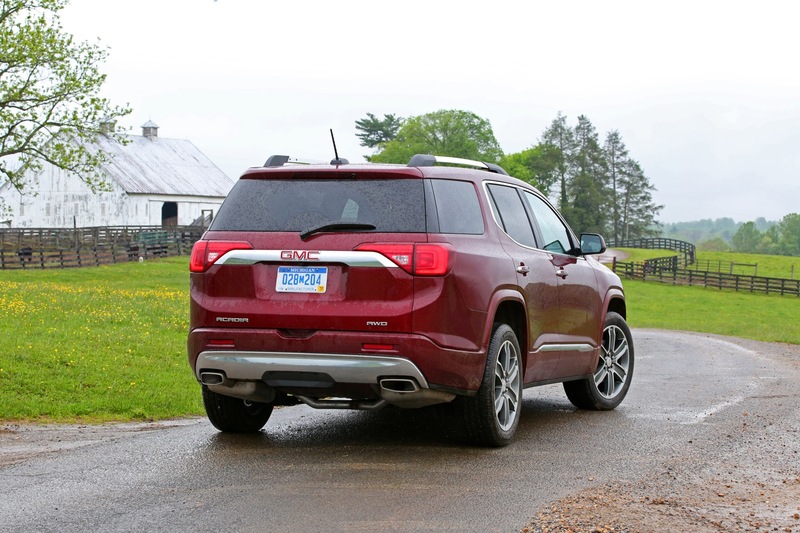 I’m mixed on how I feel about the new Acadia . 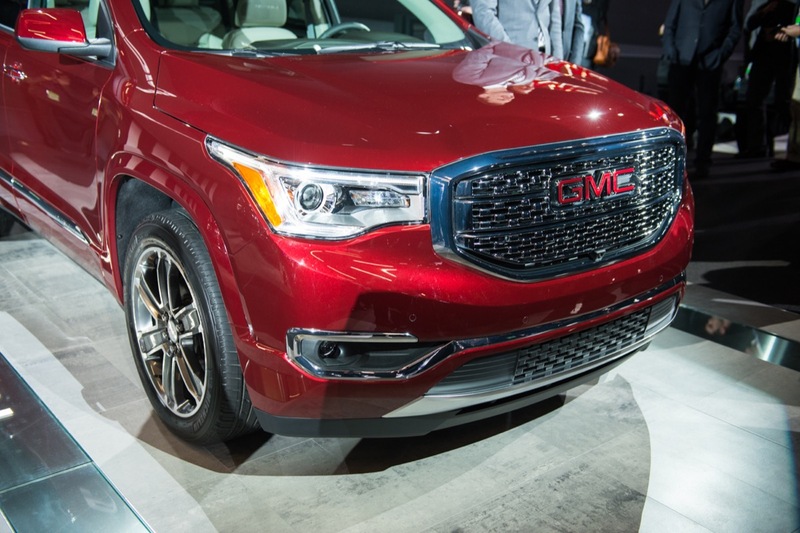 The grill looks like a carry over , the c-pillar IS a carry over and the wheels are boring . I know its smaller and lighter than the old one but it looks like a mid-year refresh than a brand new design . 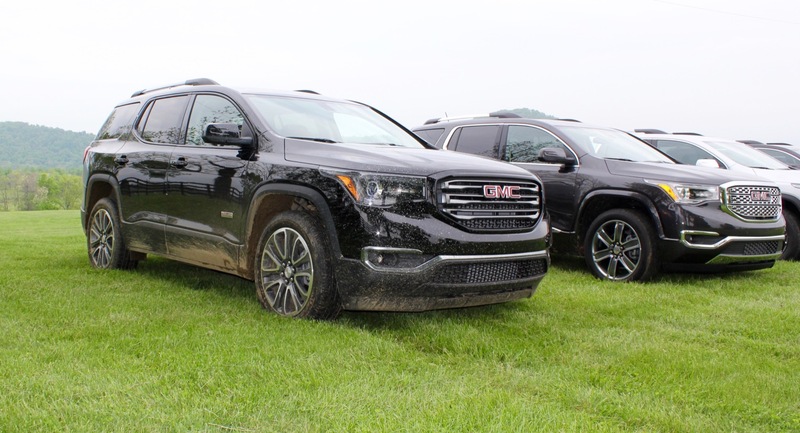 If GMC is going to offer an ” all terrain ” version will the new Terrain have a new name ? Seems a bit confusing . 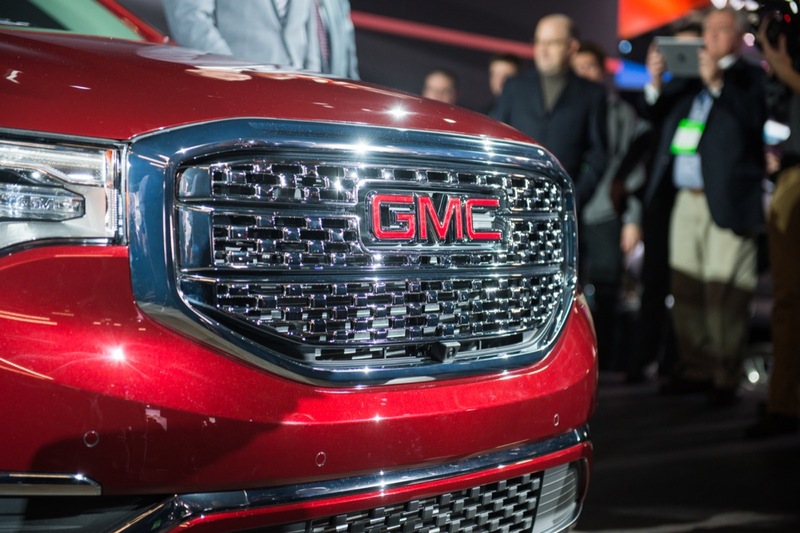 I’m going to the NAIAS next week so maybe seeing it in person will change my mind . 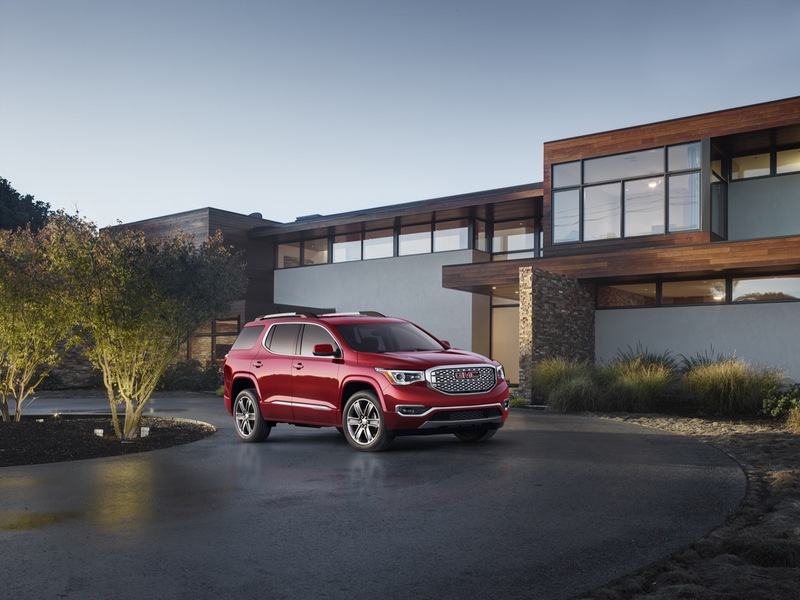 Also how can the new Buick Enclave go mid size like the Acadia withe the new Envision coming to market ? 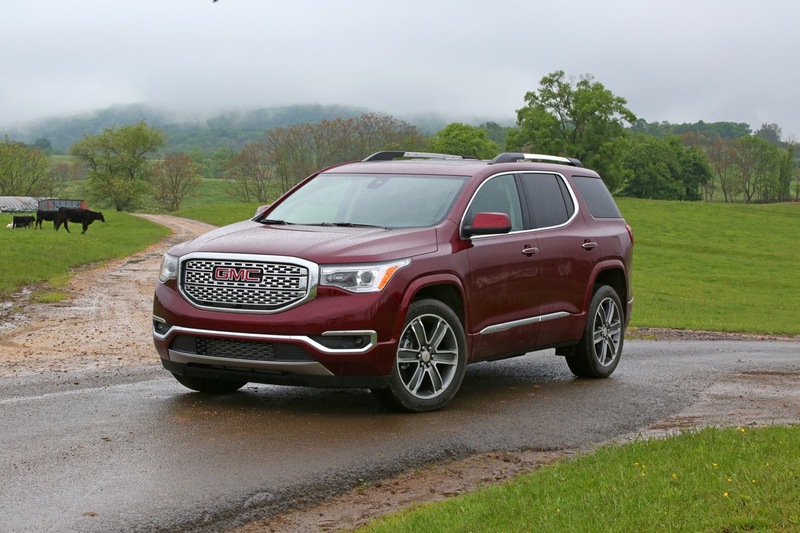 Will the Enclave come out as an ” XL ” version like the new Acadia . Two Acadias will be built , the mid size and an XL version from what I am hearing . 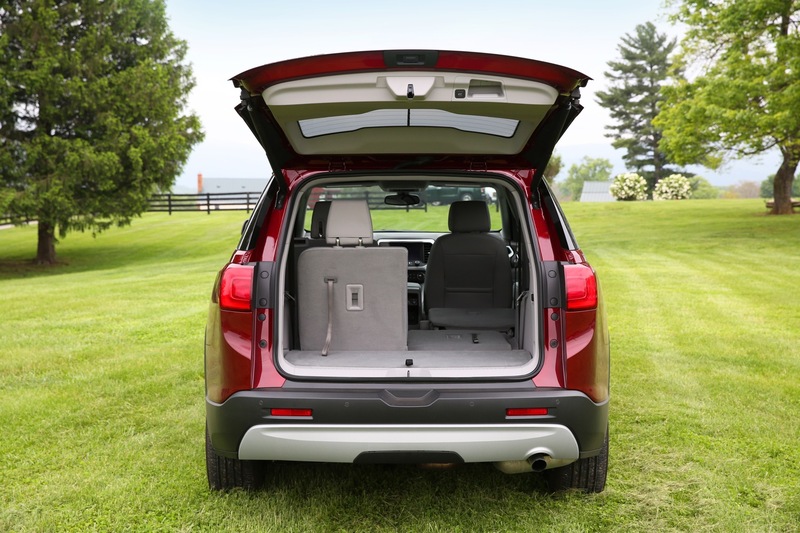 ** Which now leaves room for the up and coming 7 passenger Cadillac to be built along side the Traverse and Enclave . ** <———– the last statement is the rumor coming from the folks at Local 602 . 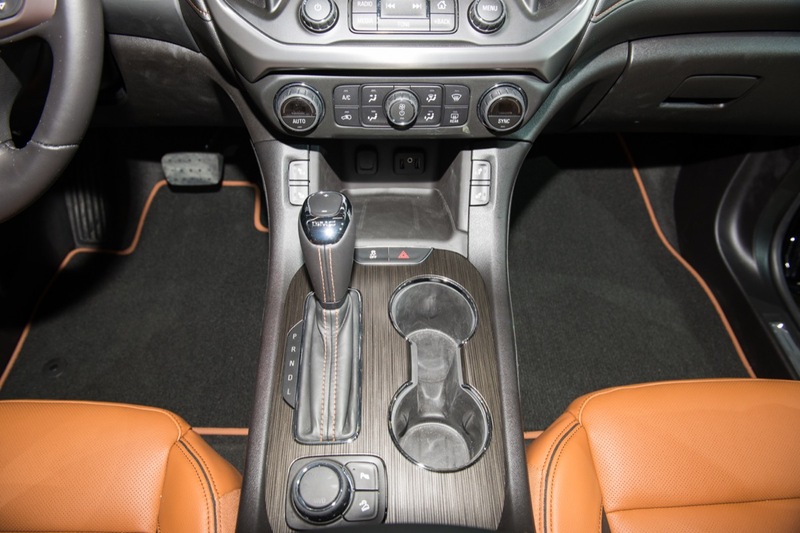 Like many others have said here…why a 6 speed instead of an 8 speed with such a “new and improved vehicle”? And also why the old tech / style antennae? 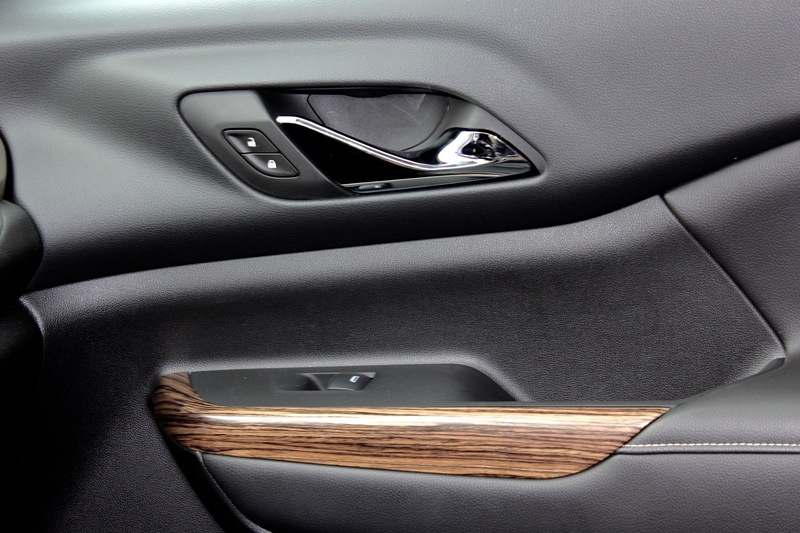 It’s really such a nice looking vehicle except for these few glaring examples of cost cutting! GM needs to bring Lutz back. I get that a new generation is talking over but Non is timeless and his line up managed to stay realavent longer than anyone could imagine. 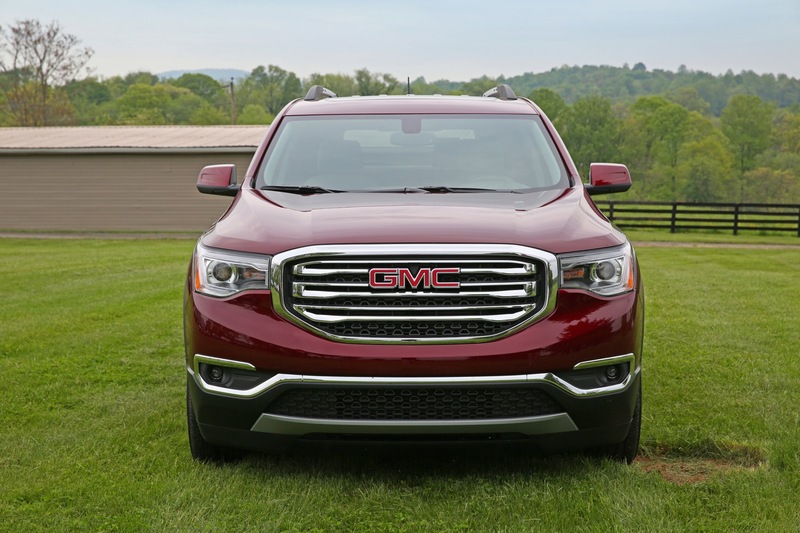 Wow, interesting comparison…You didn’t notice that it looks just like a mid 2000s GMC ENVOY?! ?